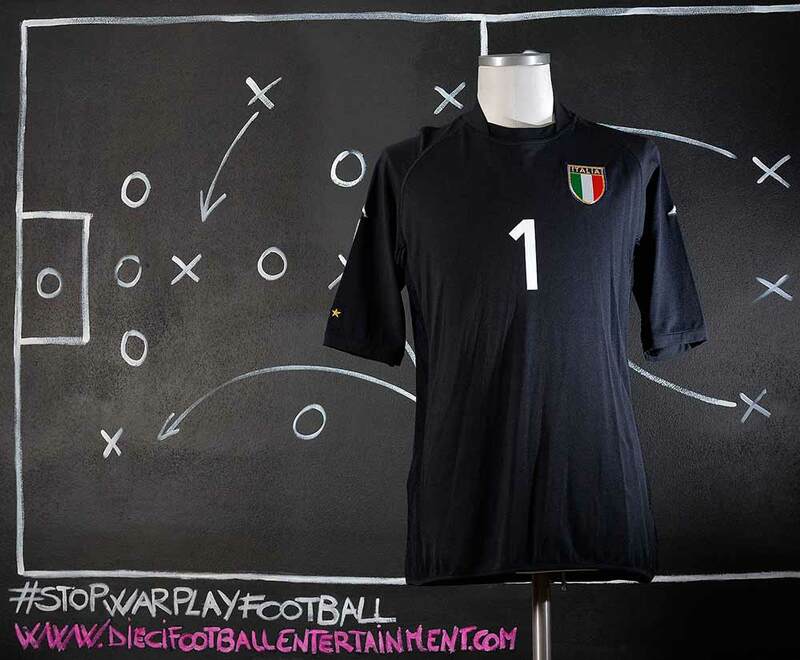 In Dino Zoff’s formation at Euro 2000, Albertini was the unquestionable leader of Italy’s midfield, starting alongside Di Biagio, behind either Stefano Fiore or Francesco Totti. His pace-setting and creative role in creating chances and controlling the Italian midfield was paramount to Italy’s successful run in the tournament, as he provided two assists for his team (one for Totti’s goal against Belgium, and the other for Inzaghi’s goal against Romania), finishing the tournament as his country’s top creator, although the Italians ultimately missed out on the trophy. 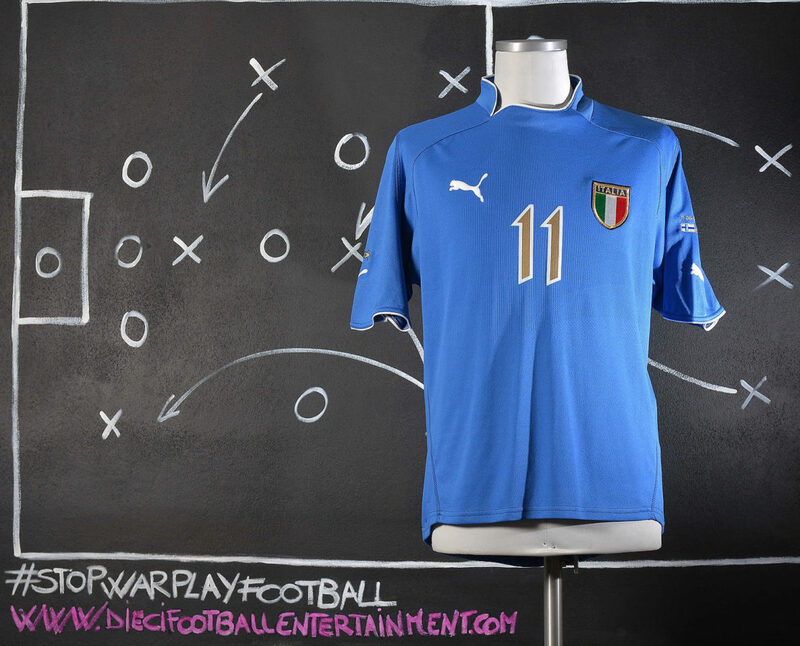 The azzurri progressed to the final undefeated, winning all three of their group matches against Turkey, co-hosts Belgium, and Sweden. 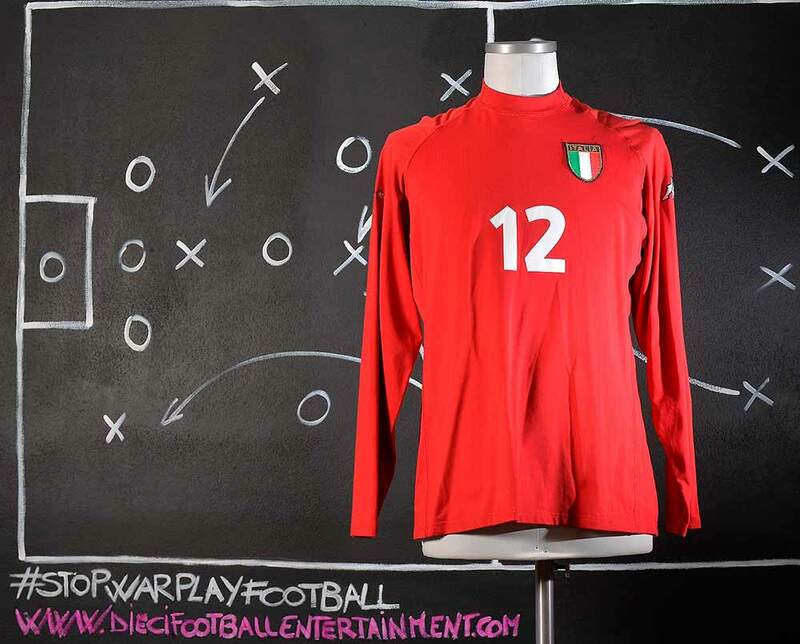 Italy went on to defeat Romania 2–0 in the quarterfinal, and overcame co-hosts the Netherlands in the semi-final on penalties after a 0–0 draw following extra time. 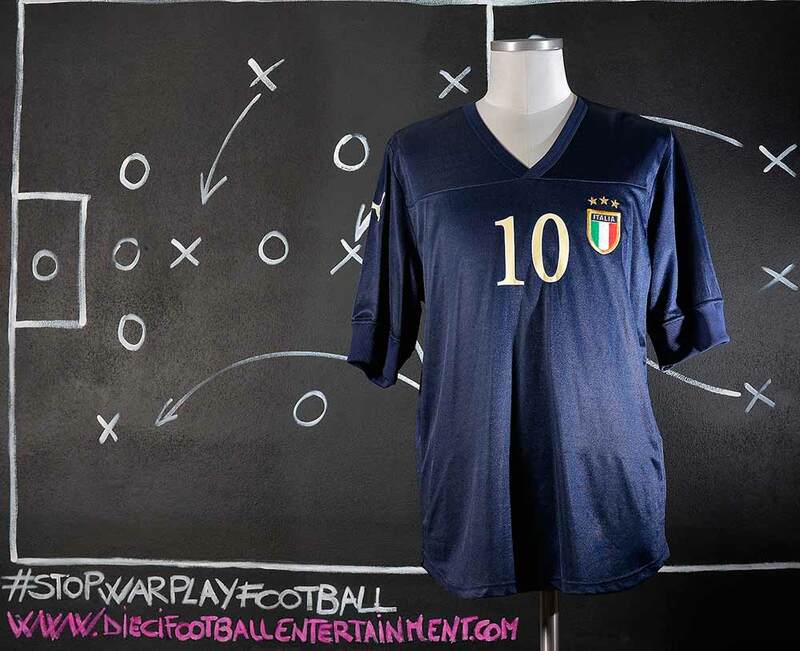 Italy eventually lost out once again to the 1998 World Champions France 2–1 in the final, on a golden goal in extra-time. 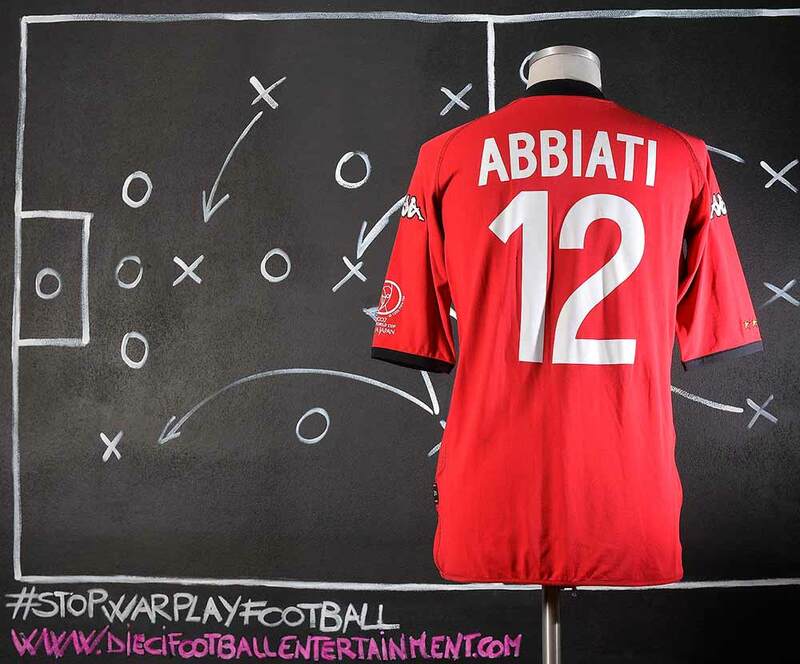 Albertini was chosen to be part of the Team of the Tournament due to his performances throughout the Cup. 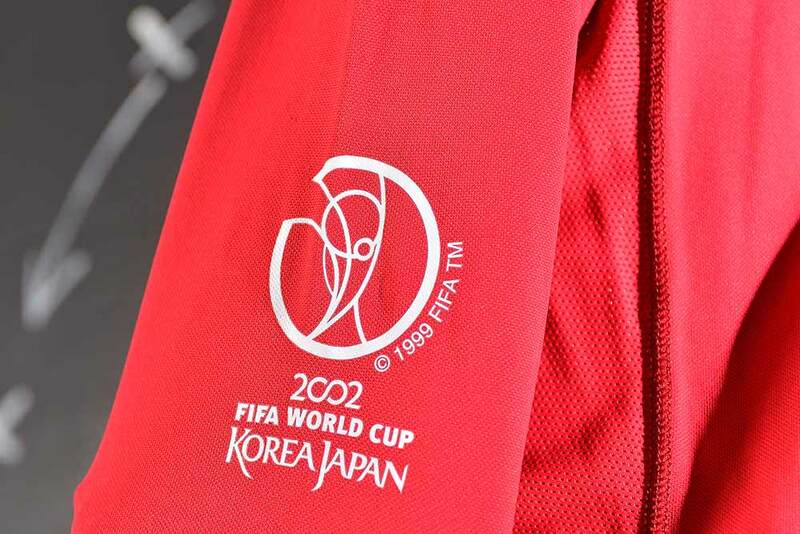 Albertini played after Euro 2000 some games of the Fifa World Cup “KOREA & JAPAN 2002″qualifying before quitting his International career in 2002. 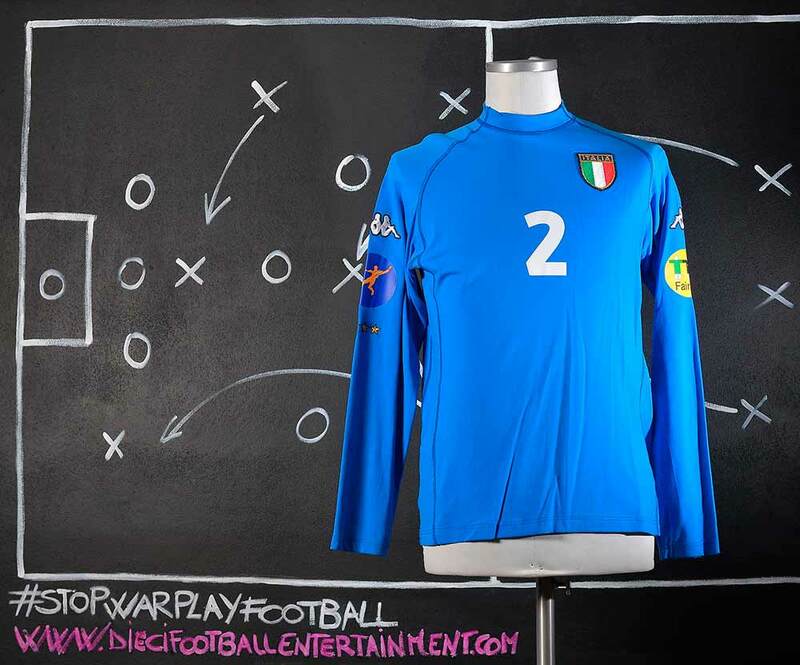 Buffon regained the goalkeeping spot for the fourth match of the qualification series, away to Romania, and was the starting goalkeeper for the remaining four matches under Giovanni Trapattoni as Italy qualified with an unbeaten record. 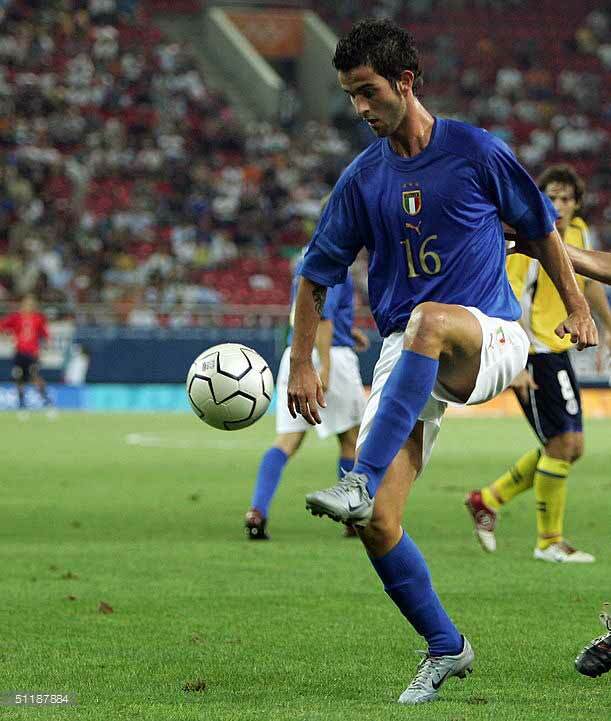 Francesco Toldo’s impressive performances at Euro 2000 meant that he retained his place in the team for the beginning of Italy’s 2002 World Cup qualifying campaign. 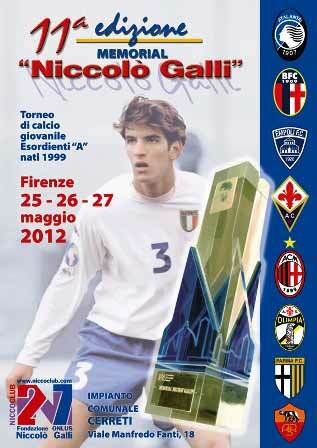 Niccolo’Galli was the son of former Italian international goalkeeper Giovanni Galli, he began with his hometown club, Fiorentina, before moving to Arsenal in August 1999. 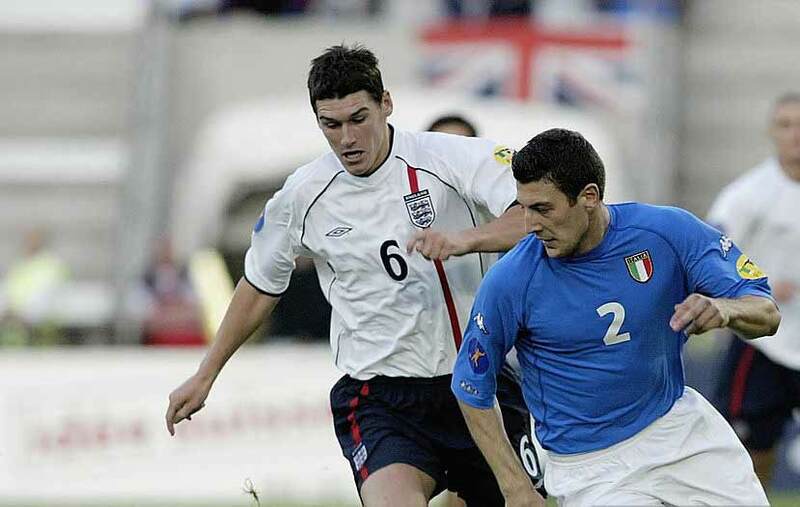 He spent one year in London, winning the FA Youth Cup in 2000, then returning to Italy to finish his studies. He was on loan with Bologna during this time. It was here that the promising young central defender’s career really started to take off, featuring in Serie A and being recognized by Italy’s youth teams, before he died; during this time, he was regarded as one of the most promising young footballers in his position constantly playing for all of the youth Italy Team’s squads. Rita Guarino is an Italian former football striker. Throughout her career she played for Juventus FCF, Torino CF, Reggiana CF, ASD Fiammamonza, Torres CF, SS Lazio and Foroni Verona in Serie A, and Maryland Pride in the W-League. She was a member of the Italian national team, and took part in the 1991 and 1999 World Cups and the 1993, 1997 and 2001 European Championships. 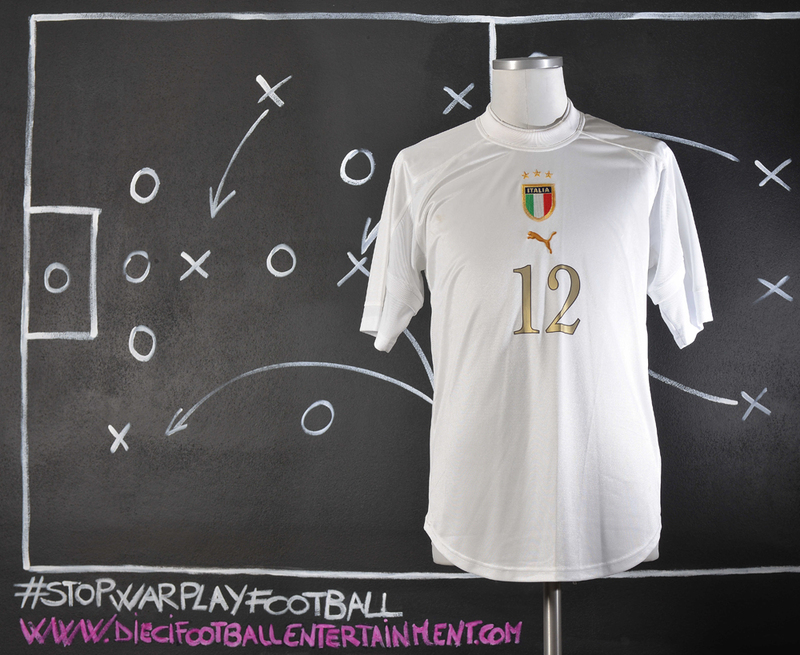 She scored Italy’s last goal in the 1991 World Cup, forcing the extra time in the quarterfinals against Norway. She again scored a tier against Norway in the 2001 Euro. At youth level, Bonera was capped for both the 2002 and 2004 UEFA European Under-21 Football Championships. He also played at the 2000 Toulon Tournament. He was capped 34 times at U-21 international level. Bonera has been capped 16 times for the Italian senior team between 2001 and 2008. 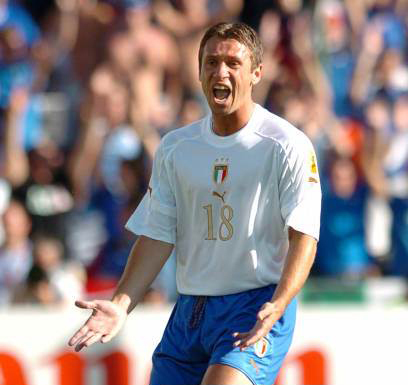 After he made his senior debut under Giovanni Trapattoni on 5 September 2001, in a 1–0 win against Morocco, he made his non-friendly debut under Marcello Lippi in a 2006 FIFA World Cup qualifier. 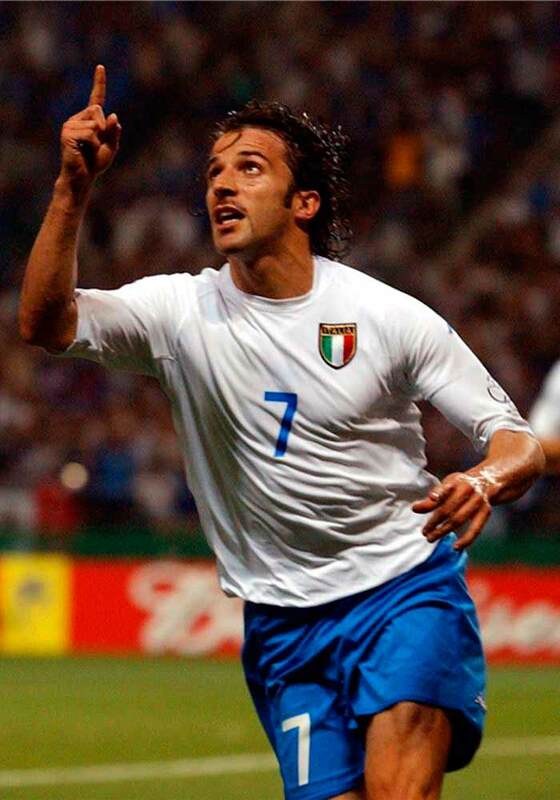 He was called up to 2006 FIFA World Cup squad as one of the four emergency reserve players, but after Gianluca Zambrotta was confirmed to be fit, Bonera was excluded from the final 23-man squad and sent home. After the 2006 World Cup, he was re-called for the first time under new manager Roberto Donadoni, ahead of the UEFA Euro 2008 qualifier against Scotland, a match scheduled for 28 March 2007. However, he had to withdraw due to injury. In October and November 2007, he was called up again. He played in a 2–0 friendly win against future 2010 FIFA World Cup hosts South Africa with an experimental Italy squad, and also came on as a substitute for Fabio Cannavaro in a 3–1 home win in a Euro 2008 qualifier against the Faroe Islands. He was not selected for Euro 2008. After Marcello Lippi became Italy coach for the second time, Bonera was re-called in Lippi’s first few matches, but was later left out of his squad due to injury. 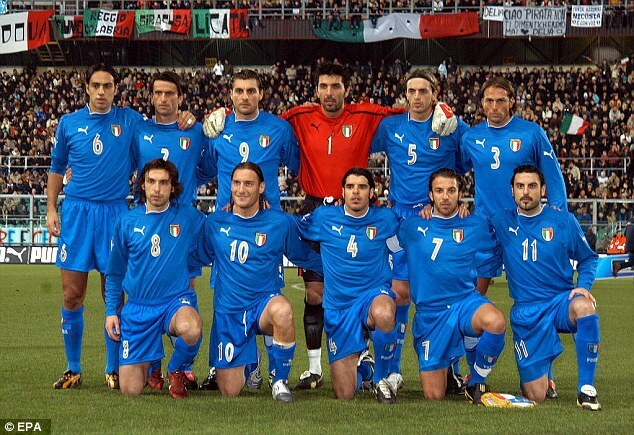 After the injury, Bonera was called up to the last friendly before the formal announcement of Italy’s 2010 World Cup squad, against Cameroon. However, he failed to enter both the preliminary World Cup squad on 11 May and the training camp on 4–5 May. 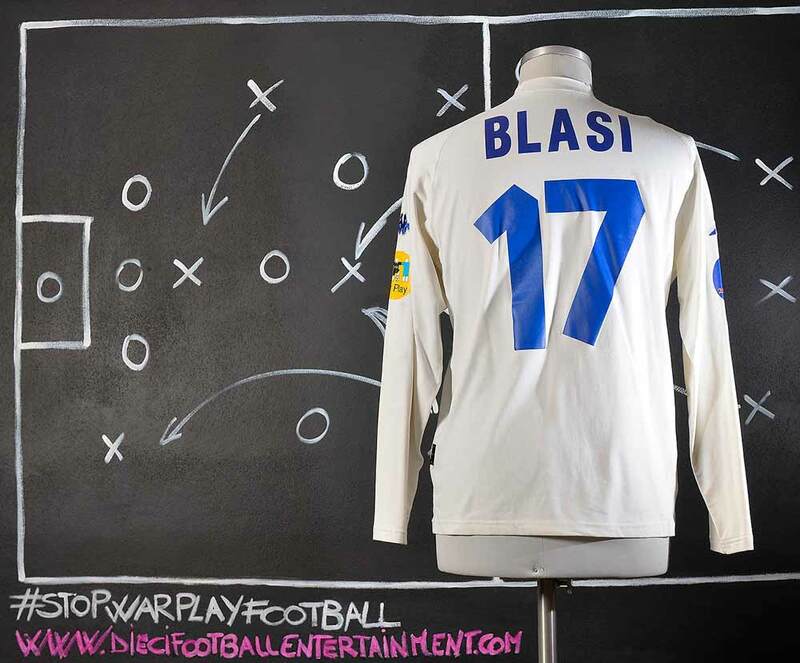 At youth level, Blasi played for the Italy U-15 team, the Italy U-16 team in 1997 UEFA European Under-16 Football Championship qualifying; the Italy U-18 team at the 1999 UEFA European Under-18 Football Championship, where they lost out to the Portugal U-18 side in the final; and the Italy U-20 team at the 2000 Toulon Tournament. 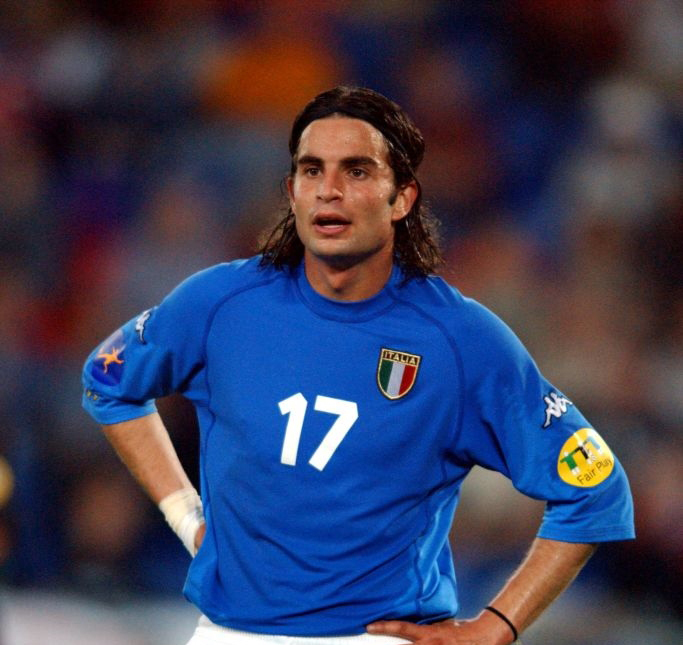 He also played for the Italy U-21 side at the 2002 UEFA European Under-21 Football Championship, as a starter, due to the injury of Enzo Maresca; he partnered Matteo Brighi, Andrea Pirlo and Marco Marchionni in midfield, as they reached the semi-finals. 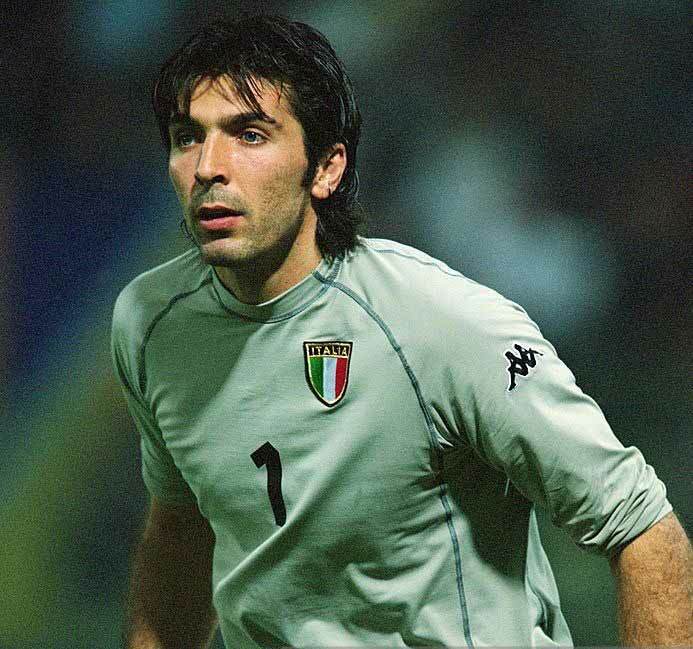 Manuele Blasi has also played for the Italian senior national team, for which he debuted on 18 August 2004 in a 2–0 friendly away loss against Iceland, at the age of 24, which was also manager Marcello Lippi’s first match in charge of the national side. 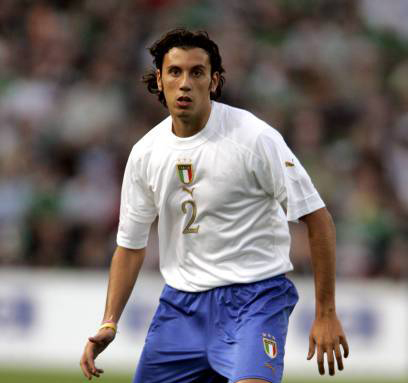 In total he made eight appearances for Italy between 2004 and 2005. 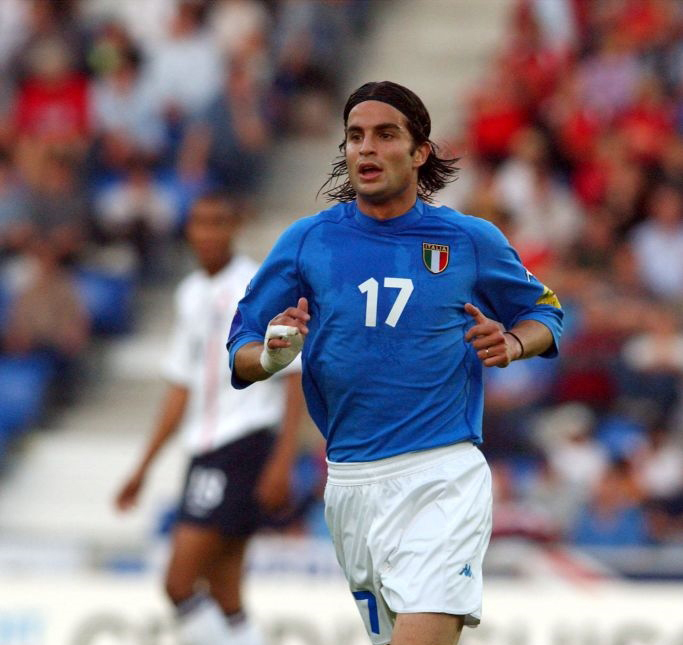 Rossi was capped for Italy at youth level in 2000 in the Toulon Tournament and called up to the under 21 squad for the 2002 UEFA European Under-21 Football Championship. 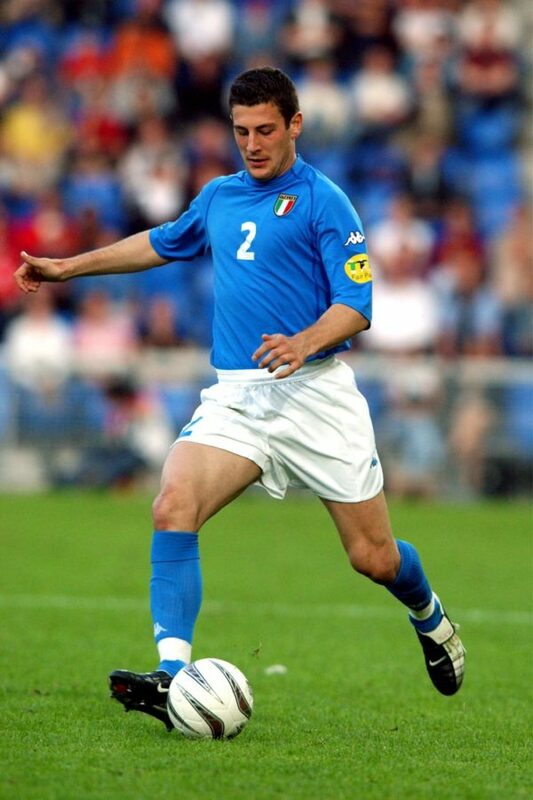 In the season 2001-2002 Totti being handed the number 10 shirt and Italy’s playmaking duties, much was expected of Totti in his debut World Cup 2002 under manager Giovanni Trapattoni. 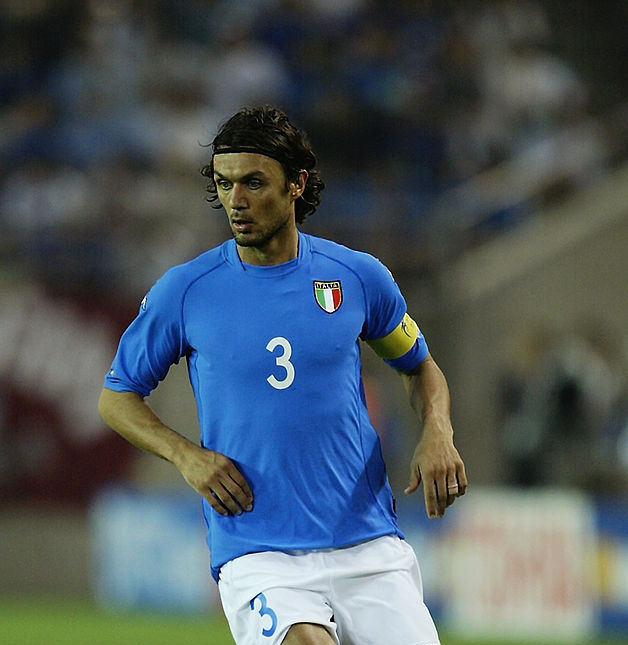 Maldini played in his fourth World Cup, and his second as captain, in the 2002 World Cup in Korea and Japan. 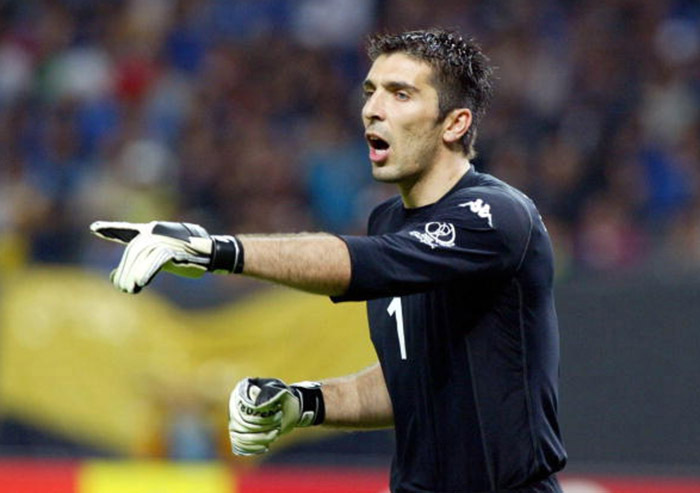 He helped Italy keep a clean sheet in their opening win against Ecuador, and played in all four of Italy’s matches. Italy disappointed in the remaining group matches, but went on to the knockout round as the second placed team of their group. 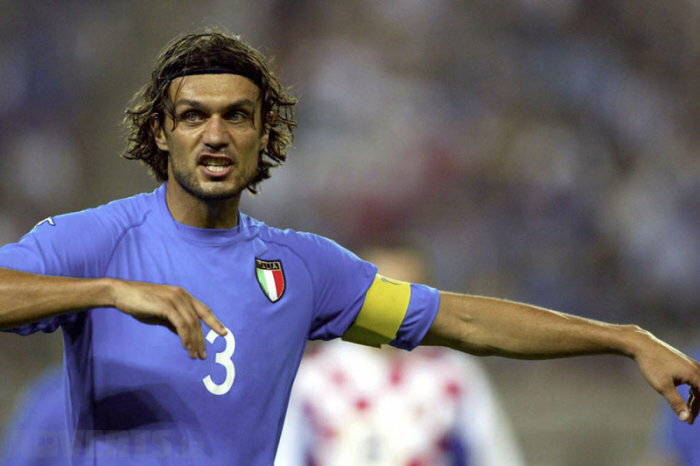 Immediately after a ten-man Italy were controversially eliminated in the round of sixteen, by a golden goal, to co-hosts South Korea, Maldini retired from international football, at the age of 34, as Italy’s most capped player. He scored seven international goals, all coming in home games. 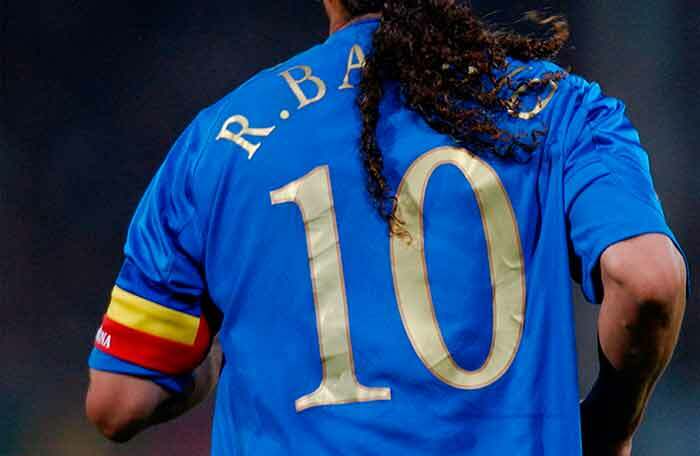 He spent over half of his 16 years as an international as team captain, wearing the armband a record 74 times, until he was overtaken by Cannavaro. 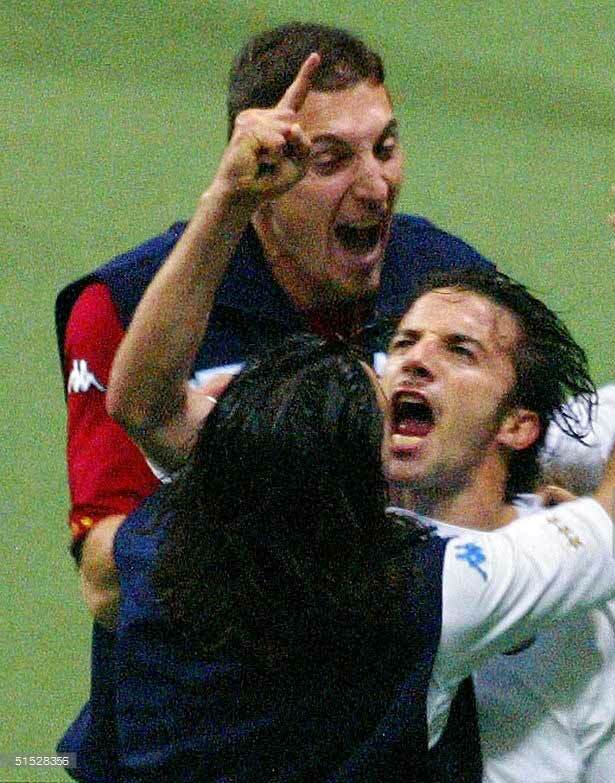 Despite his performances for his country, Maldini was unable to win a trophy, although he reached the final of both the World Cup and the European Championship. Maldini made 23 appearances in World Cups, in 2017 still the second highest total after Lothar Matthäus, who appeared in 25 matches. 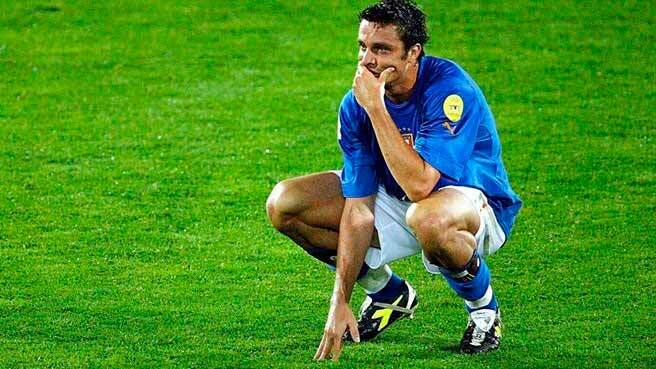 Maldini holds the record for most minutes played in World Cup matches with 2,216 minutes played. 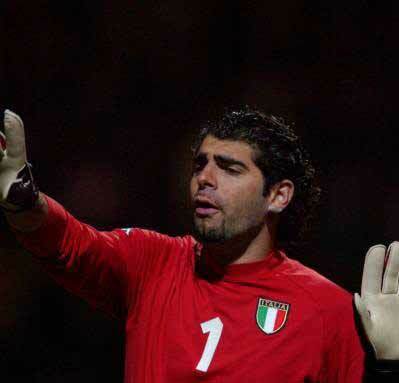 Doni played seven times for Italy, the first cap arriving on 7 November 2001 as he found the net in a 1–1 friendly with Japan. Subsequently, he was picked for the squad at the 2002 FIFA World Cup by manager Giovanni Trapattoni, making two starting appearances throughout the tournament, the opening 2–0 win against Ecuador and the subsequent 1–2 defeat to Croatia where he provided the assist for Christian Vieri. 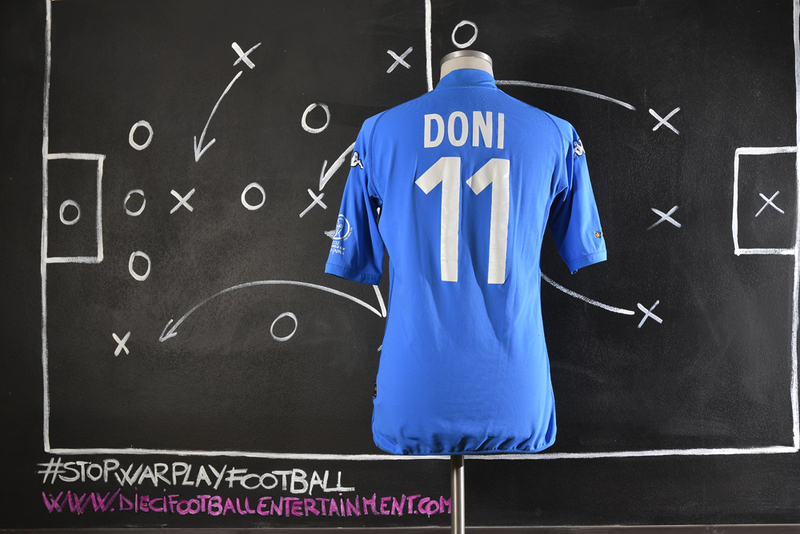 Doni was known for his vision, technical ability and creativity as an offensive midfield playmaker. 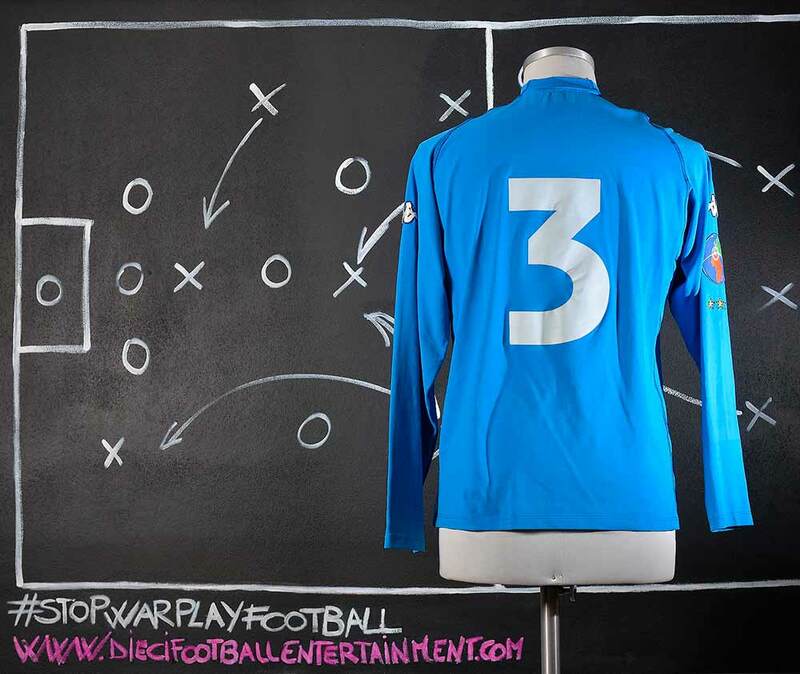 He was capable of scoring and assisting alike, due to his powerful and accurate mid-range shot.On 9 August 2011, Doni was banned from football for 3½ years for his role in match fixing during the campaign, effectively ending his career at the age of 38. On 19 December, he was arrested together with 16 other people in connection with another match-fixing and betting investigation. 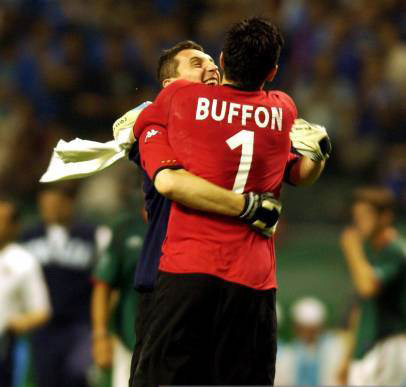 Buffon played every minute of Italy’s 2002 World Cup campaign, keeping a clean sheet in the opening match against Ecuador, and saving a controversial penalty against co-hosts South Korea in the round of 16, which was not enough to stop the under-performing side from being eliminated by a golden goal in extra time. 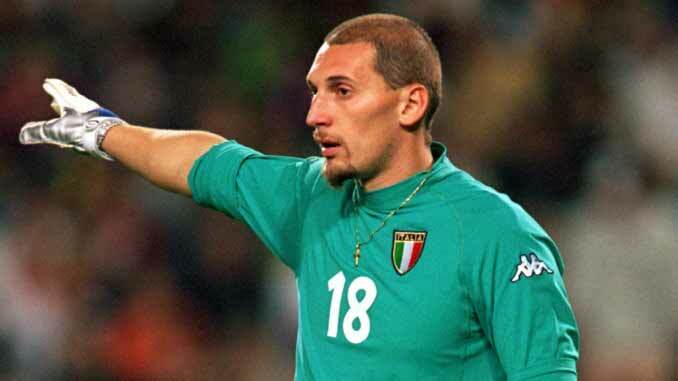 Abbiati received his first call-up for Italy as the third goalkeeper for UEFA Euro 2000, after Gianluigi Buffon withdrew from the squad through injury, and was part of the squad that participated in the 2000 Summer Olympics and of the squad that participated to the Fifa World Cup 2002. However, he did not earn his first cap until a 2–1 victory over Switzerland on 30 April 2003. 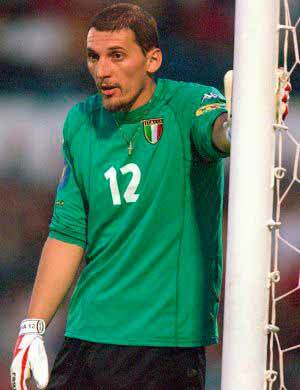 Abbiati was left off the 2006 FIFA World Cup roster but was recalled to the national team in September 2006. In March 2009, three days before his season-ending knee injury, he said that he would refuse a future call-up for Italy in a non-starting role. 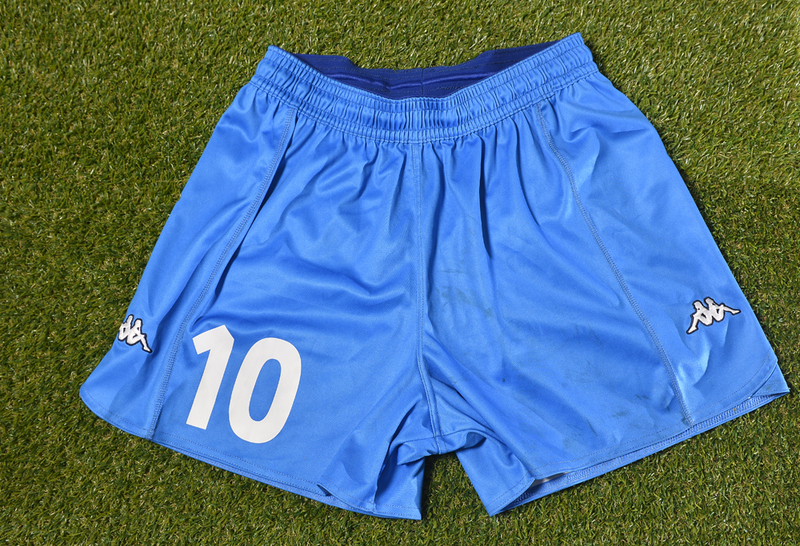 In total, he made four appearances for Italy. Alessia Tuttino is an Italian football midfielder who plays for UPC Tavagnacco of Serie A and the Italy women’s national football team. 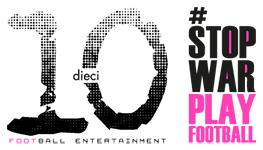 At club level she previously represented TC Rivignano, Foroni Verona, ASD Bardolino and GS Roma. She was part of the Italian squad at the 2009 and 2013 editions of the UEFA Women’s Championship. A central midfielder with a high work rate, Tuttino’s playing style has sometimes been compared to that of the contemporary male footballer Gennaro Gattuso. 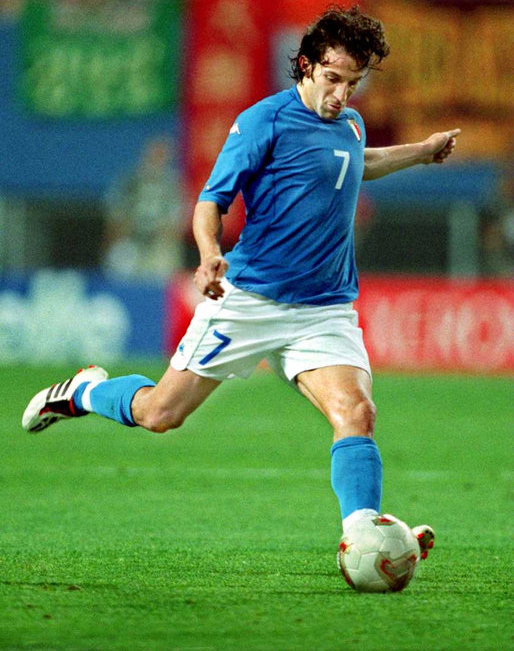 Pirlo made his Italy senior debut on the 7 September 2002 under Giovanni Trapattoni, at the age of 23 in a 2–0 away win over Azerbaijan in a Euro 2004 qualifying match; he also appeared in a friendly match in Pescara against Turkey on 20 November, later that year, which ended in a 1–1 draw. 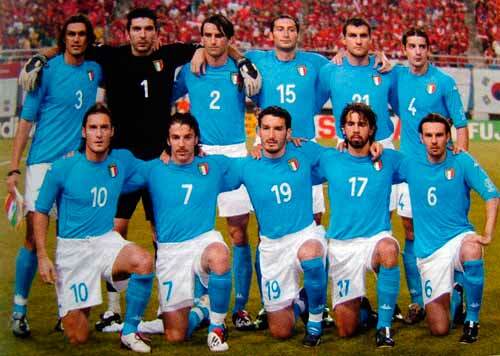 Pirlo scored his first goal for Italy from a free-kick in a 4–0 away win in a friendly match against Tunisia. 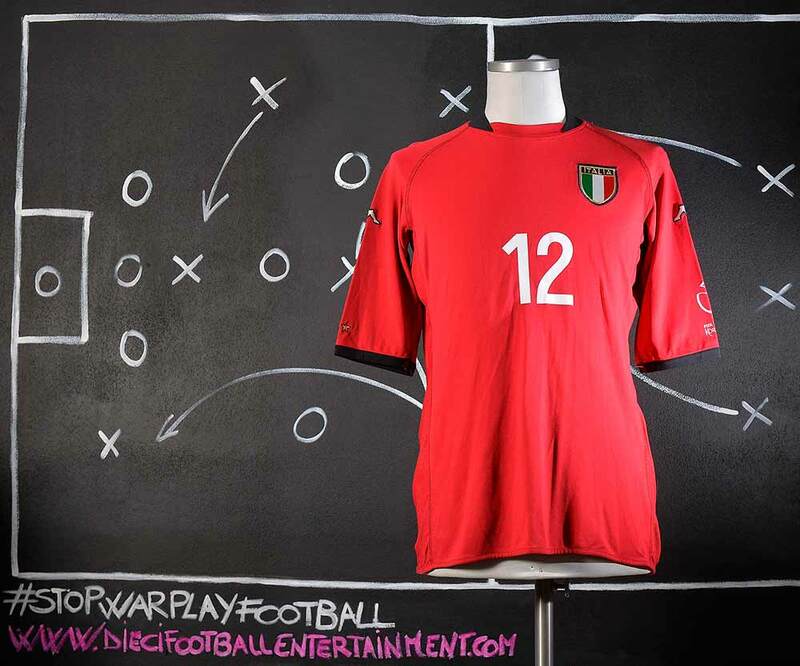 His first major tournament with the Italian senior team was UEFA Euro 2004 under Giovanni Trapattoni, where he made two appearances in Italy’s last two group matches: the first in a 1–1 draw against Sweden, and the second in a 2–1 win over Bulgaria. 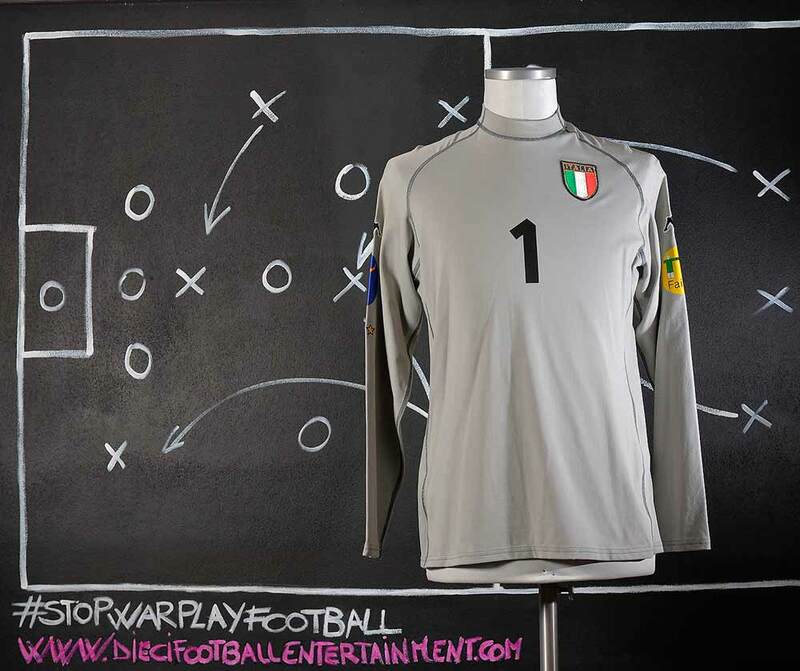 The Italian team was eliminated in the first round, on direct encounters, following a three-way five point tie with Sweden and Denmark. 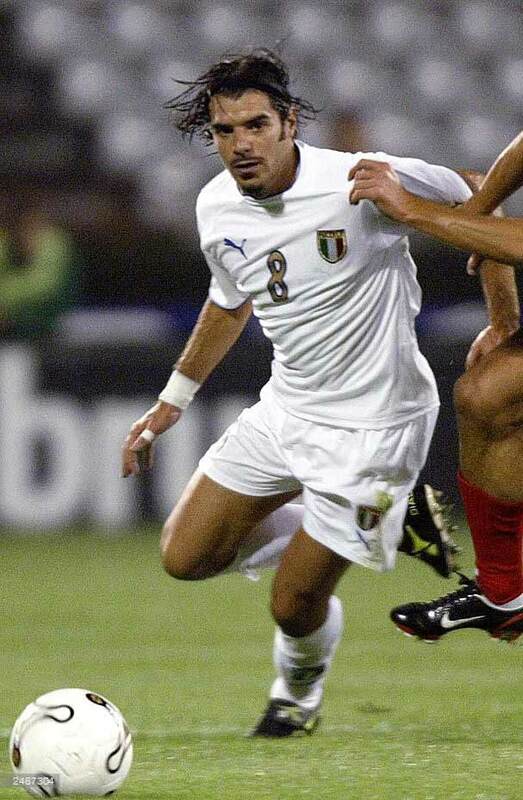 Fiore’s impressive showings for Lazio during the 2003–04 season allowed him to return to the national side in 2003, and he earned a place in Italy’s 23-man squad for Euro 2004. 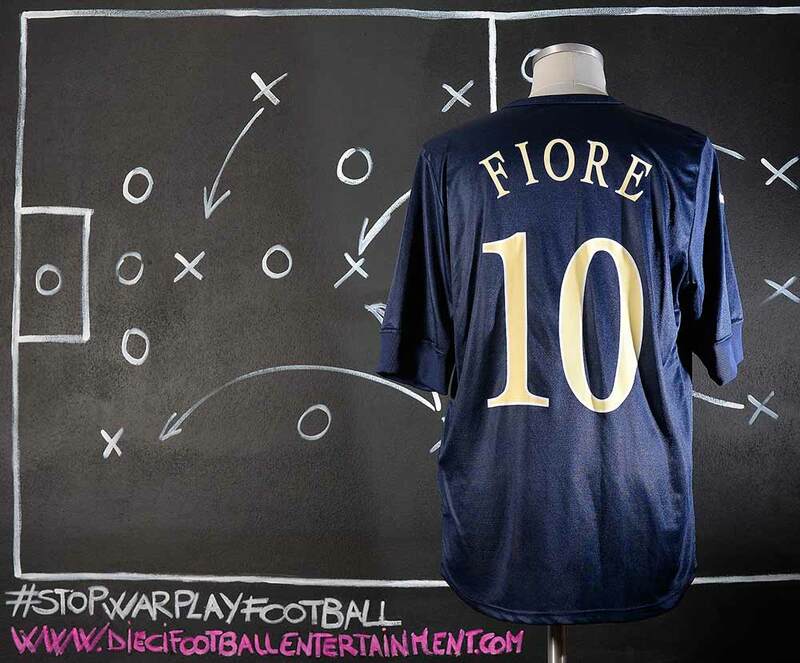 However, Fiore was used sparingly by coach Giovanni Trapattoni, who preferred to play the Argentine born winger, Mauro Camoranesi, only using Fiore as a substitute in the opening two group matches. 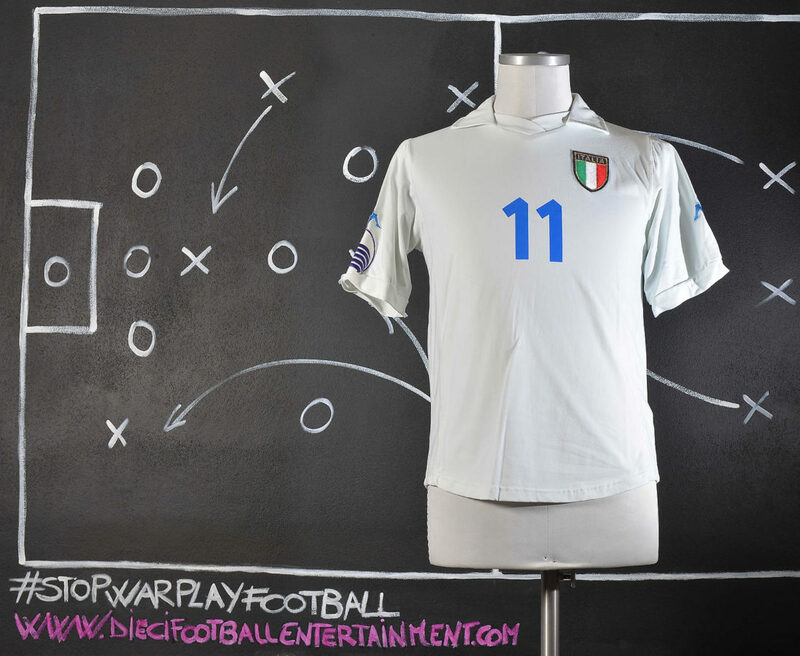 When he did start, the Azzurri looked a lot more creative, with Fiore nearly scoring from a spectacular volley against Bulgaria in the final group game. 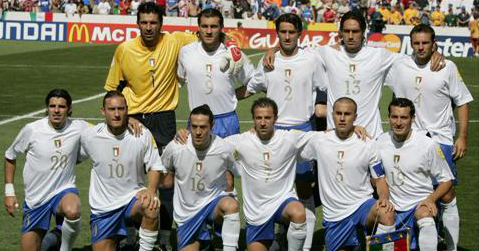 Despite the Azzurri winning the match 2–1, and not losing a match throughout the competition, the two draws in the previous group games led to Italy’s first-round elimination from the tournament on direct encounters, following a three-way five-point tie with Denmark and Sweden, who both progressed on to the quarter-finals. 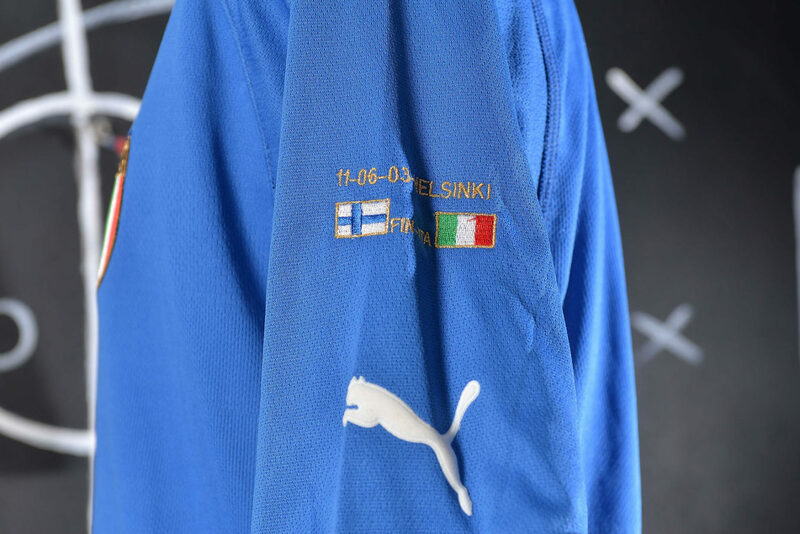 This is the first time that Italy Team used match details on the shirt as many other National Teams were using since a long time. 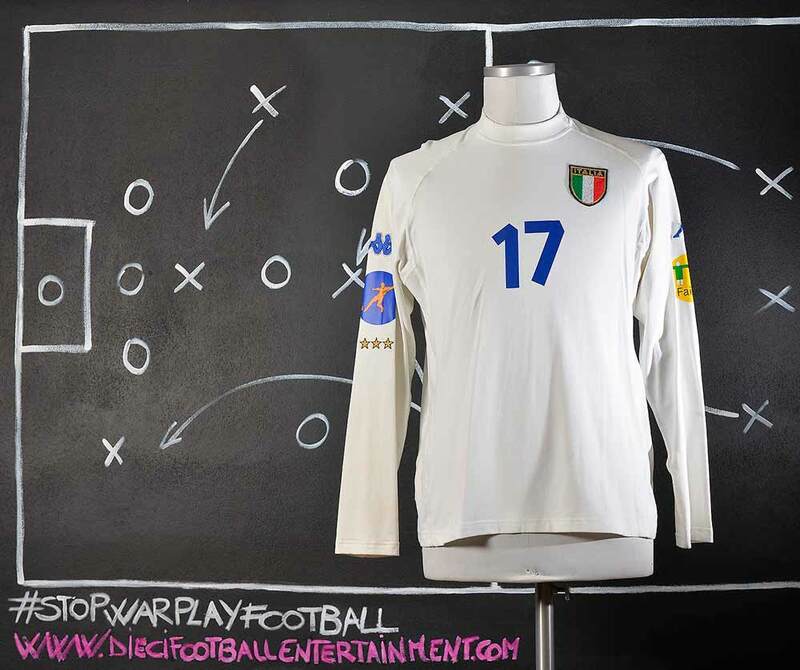 Team’s flags and match details were embroidered on the sleeve of Italian shirts for the first time ever. Giuseppe Sculli is a retired Italian footballer who played in several positions; primarily a striker, he could play anywhere along the front-line, and also played as a winger, as a second striker, and even as a right-sided midfielder or as a wingback on the right flank. 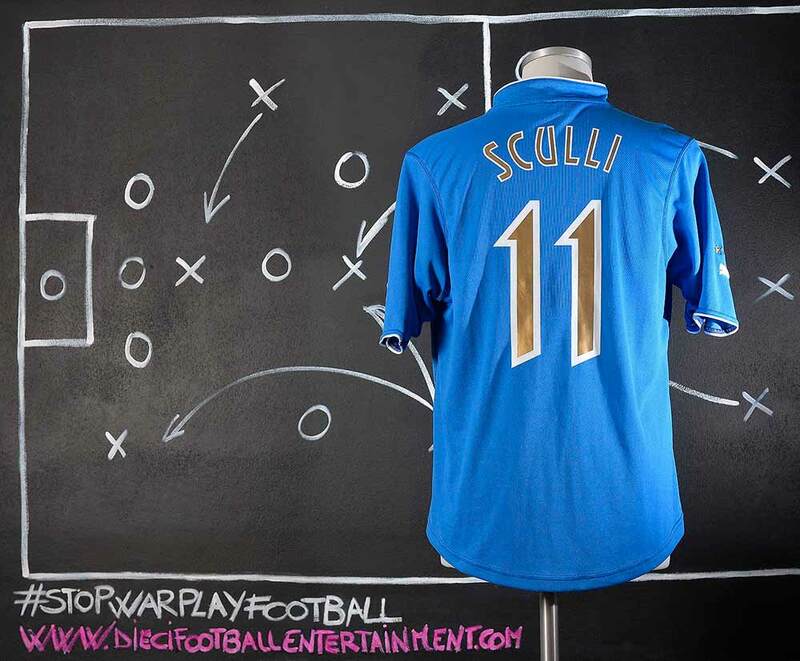 Sculli represented the Italy national under-21 football team, winning the 2004 UEFA European Under-21 Football Championship, and earning a bronze medal at the 2004 Summer Olympics. Totti first came into international prominence while playing in FIFA and UEFA youth tournaments. 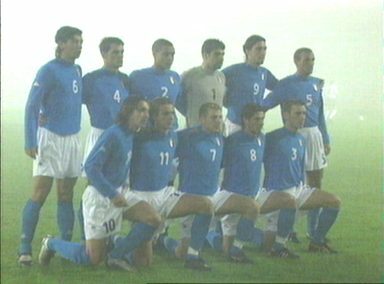 With the Italy under-16 side, under manager Sergio Vatta, Totti reached the final of the 1993 UEFA European Under-16 Championship in Turkey; Italy were defeated 1–0 by Poland as Totti missed the final due to suspension. 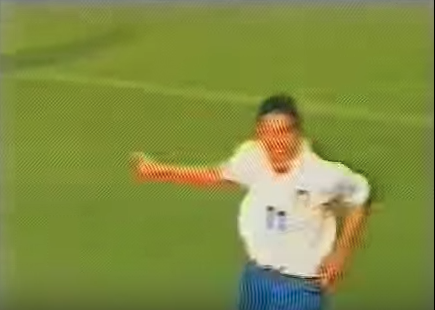 Four months later, Totti played in 1993 FIFA U-17 World Championship in Japan and scored Italy’s goal in the tournament as the Azzurrini were eliminated in group stage. Totti also scored in Italy’s 4–1 defeat to Spain in the final of the UEFA Under-18 Championship, in July 1995. He subsequently won the UEFA Under-21 Championship with Italy in 1996, under manager Cesare Maldini; in the final, he opened the scoring as the match ended in a 1–1 draw against Spain, although Italy were able to win the final on penalties. 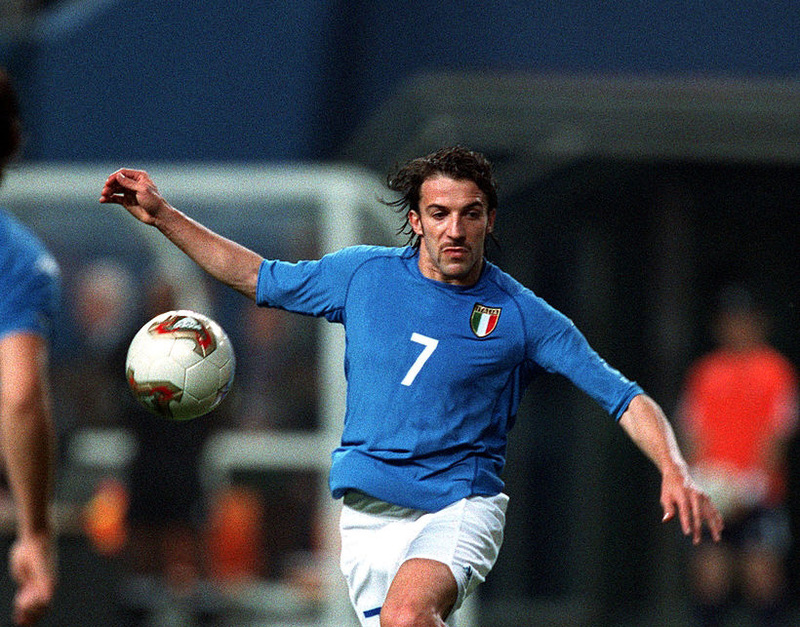 The following year, he also played a key role in helping Italy to win a gold medal at the 1997 Mediterranean Games, on home soil, scoring twice throughout the tournament. Due to his contribution in these tournaments, Totti was later included in the all-time Under-21 EURO dream team in 2015. 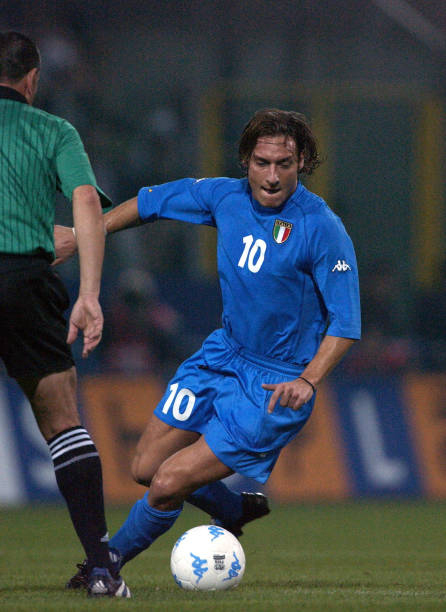 After starring with the Azzurrini in Italy’s under-16, under-19, and under-21 sides, Totti earned his first senior cap for Italy under the recently appointed international manager Dino Zoff during a 2–0 Euro 2000 qualifying victory against Switzerland on 10 October 1998. 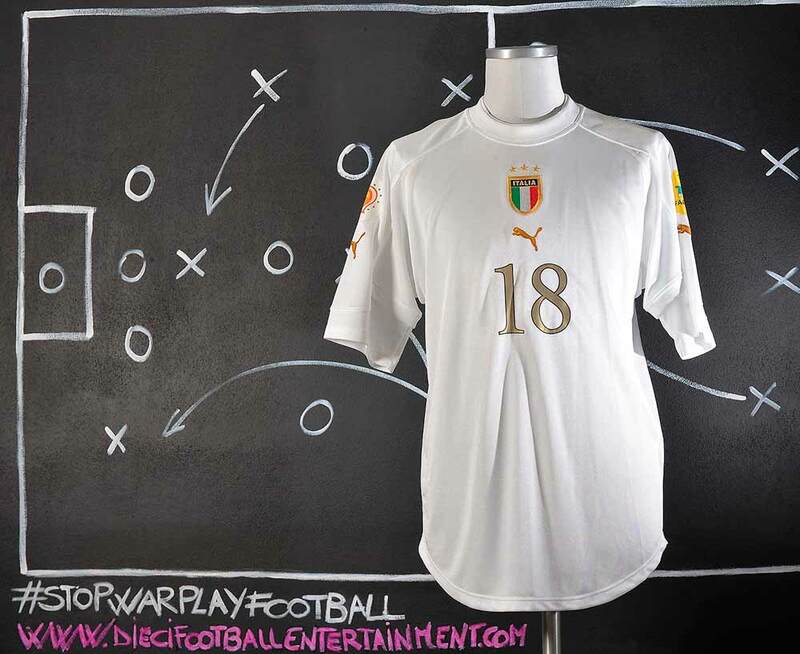 Totti scored his first goal for Italy on 26 April 2000 in a 2–0 friendly win over Portugal in Reggio Calabria. He scored his first brace for Italy in a 2006 FIFA World Cup qualification match in a 4–3 home win over Belarus, on 13 October 2004. 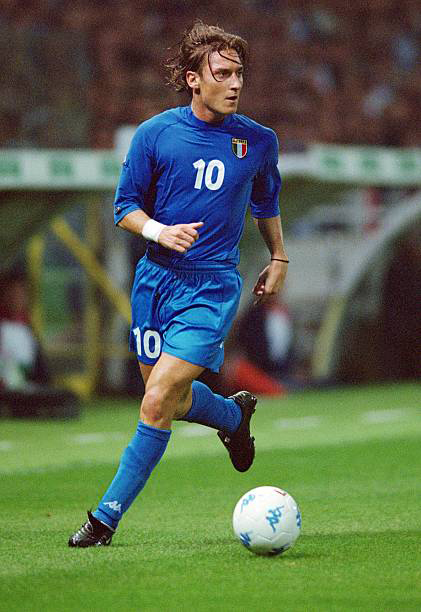 In total, Totti made 58 appearances for Italy between 1998 and 2006, scoring nine goals. 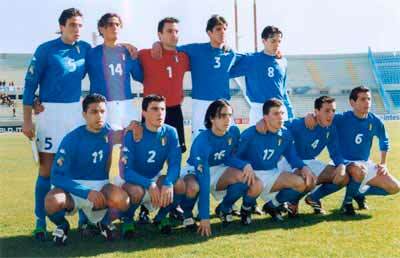 Morosini made his international debut for the Italy U-17 team in September 2001, at only 15 years old. 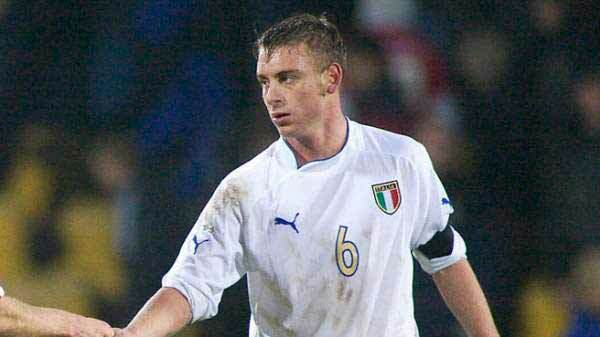 In September 2006, he made his U-21 debut and was called up for the 2009 European Championships as back-up. 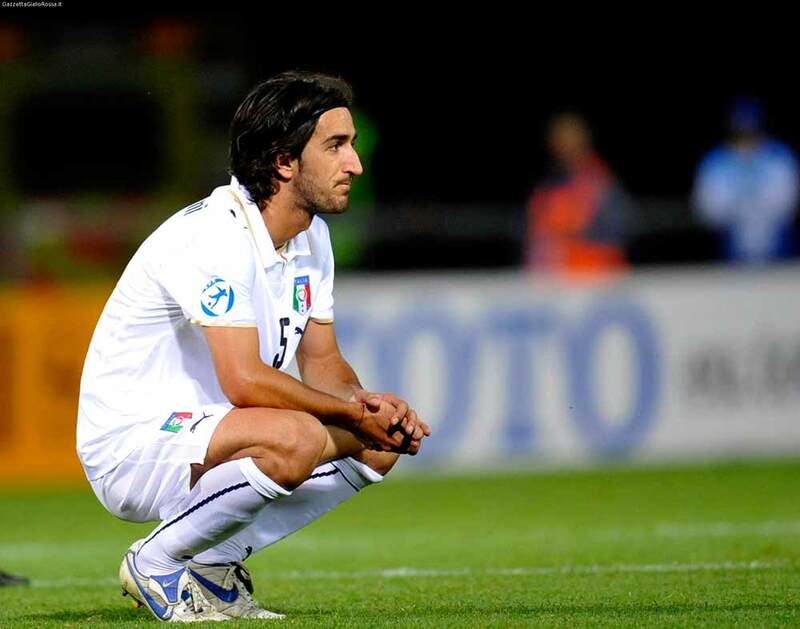 Piermario Morosini was born on 5 July 1986, in Bergamo, Italy. His mother Camilla died in 2001, when he was fifteen years old. His father, Aldo, died in 2003, followed shortly after by a disabled brother, leaving him alone with a disabled elder sister. Shortly after his parents’ death, Morosini remarked that “these are the things that change your life, but at the same time make you so angry and help you achieve what was also a dream of my parents.” Morosini’s sister, who is disabled, was left with no family after Piermario’s death. However, Udinese player Antonio Di Natale confirmed that he would financially support and look after her. 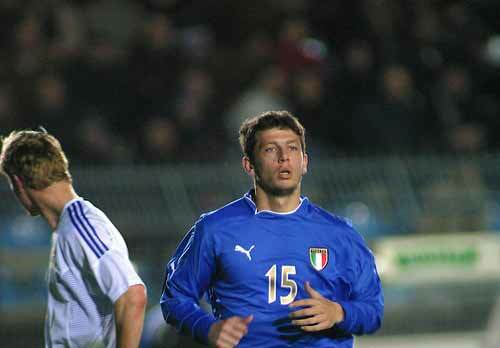 Cassano has made 39 appearances for the Italy national team, scoring ten goals. He made his senior international debut on 12 November 2003, aged 21, in a 3–1 friendly defeat against Poland in Warsaw, in which he also scored his first goal. 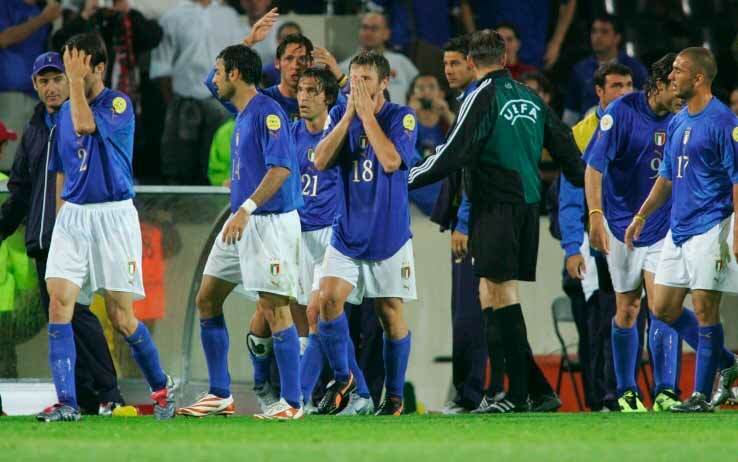 Cassano was part of Italy’s UEFA Euro 2004 squad as a reserve, but after Francesco Totti was suspended following a spitting incident with Christian Poulsen in a group match against Denmark, Cassano was inserted into the starting lineup for a 1–1 draw with Sweden in which he scored. In Italy’s final group match, which ended in a 2–1 victory over Bulgaria, he was named man of the match, as he was involved in Simone Perrotta’s equaliser, and also netted the last-minute winner, but Italy were eliminated in the group stage on direct encounters after a three-way, five-point tie with Denmark and Sweden. After a poor season with Real Madrid, Cassano was left off coach Marcello Lippi’s final roster for the 2006 FIFA World Cup. 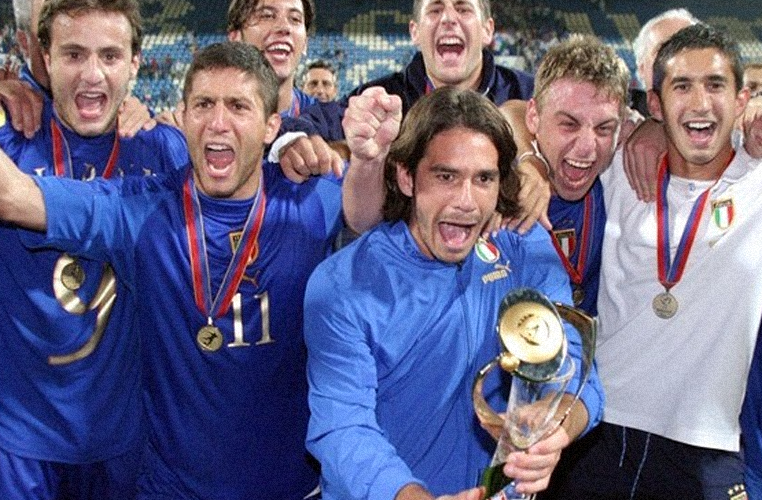 The Azzurri went on to lift the trophy in Berlin, beating France in a penalty shootout. In September 2006, Cassano was called up by new manager Roberto Donadoni for Euro 2008 qualifiers against Lithuania and France. However, he was not selected again until surprisingly being included in the Euro 2008 squad. He went scoreless in the tournament as Italy were eliminated in the quarter-finals by eventual champions Spain after a penalty shootout.Lippi returned as coach for the 2010 World Cup qualification campaign and did not select Cassano during the qualifying matches or the 2010 World Cup finals. After a two-year absence from the Azzurri, and following widespread criticism from the media towards Lippi about his exclusion from the World Cup squad, Cassano was readmitted into the squad on 6 August 2010 by new head coach Cesare Prandelli for his first game in charge of the team, a friendly match against the Ivory Coast played on 10 August at Upton Park, London. 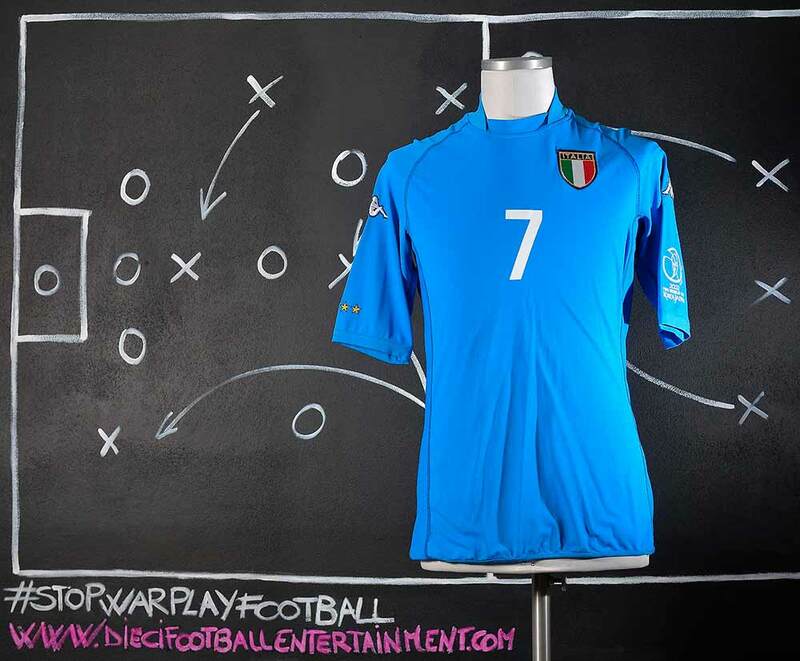 Almost a month later, in Italy’s Euro 2012 qualifier played in Estonia, Cassano scored the tying goal in a 1–2 away victory and also assisted Leonardo Bonucci’s second goal with a back-heel. 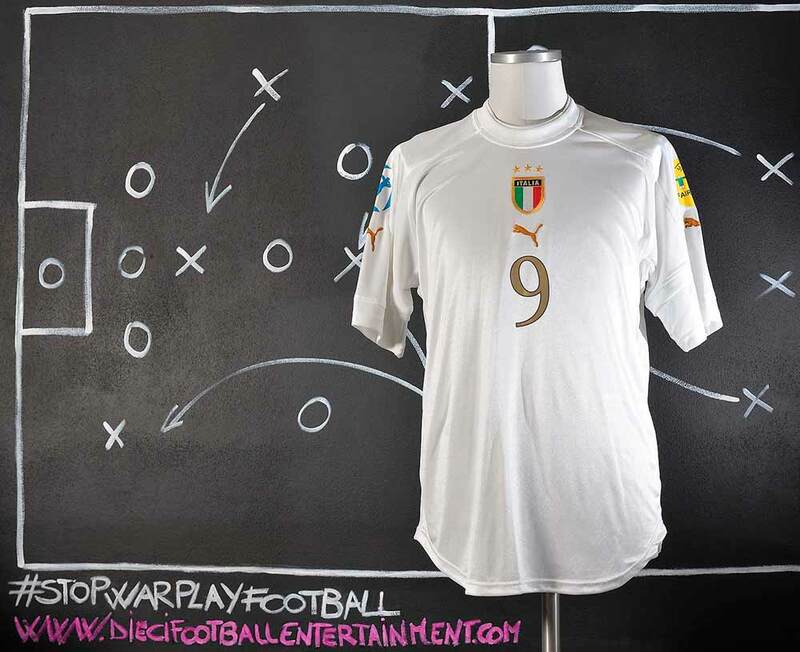 Cassano scored a long-range goal from just outside the box in Italy’s 5–0 qualifying win over the Faroe Islands. 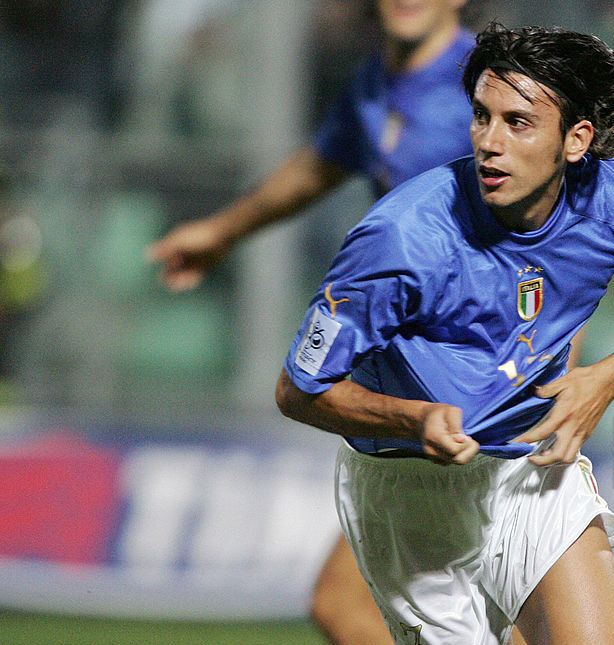 He scored again against Estonia helping Italy secure a 3–0 win. Cassano played in all six of Italy’s matches and scored one goal against the Republic of Ireland during Euro 2012, where the Italians reached the final, losing 4–0 against Spain. 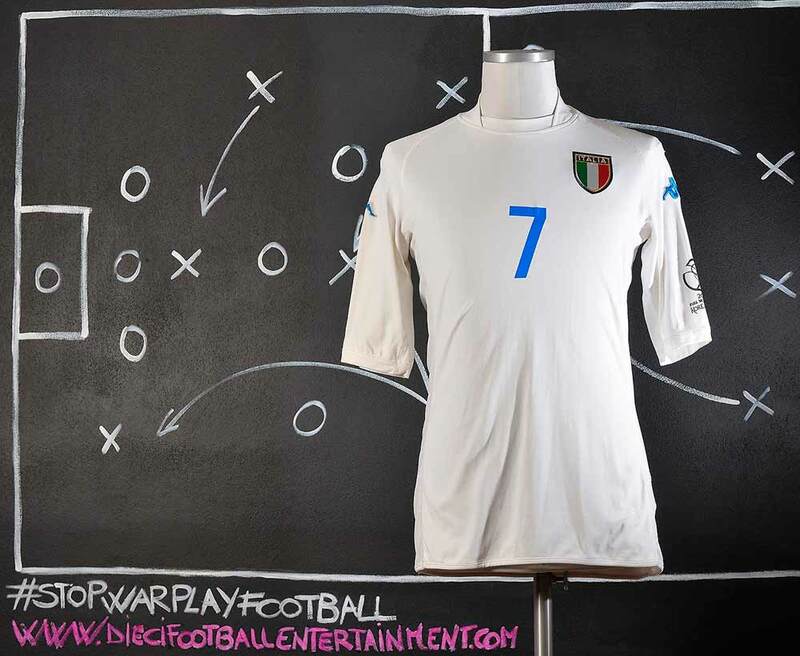 In the semi-final against Germany, Cassano set up Mario Balotelli’s first goal of the match. 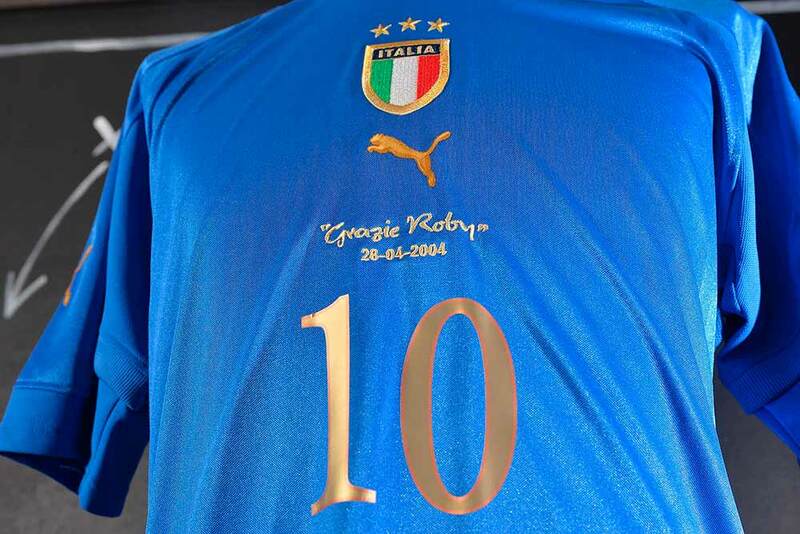 Cassano wore the number 10 shirt for Italy throughout the tournament. In July 2012, he was fined by UEFA for making a homophobic comment at a press conference during Euro 2012. At the conference, when asked if he thought there were any homosexual players in the Italian team, he replied, “I hope there are none.” He later issued a statement saying he had been misinterpreted. 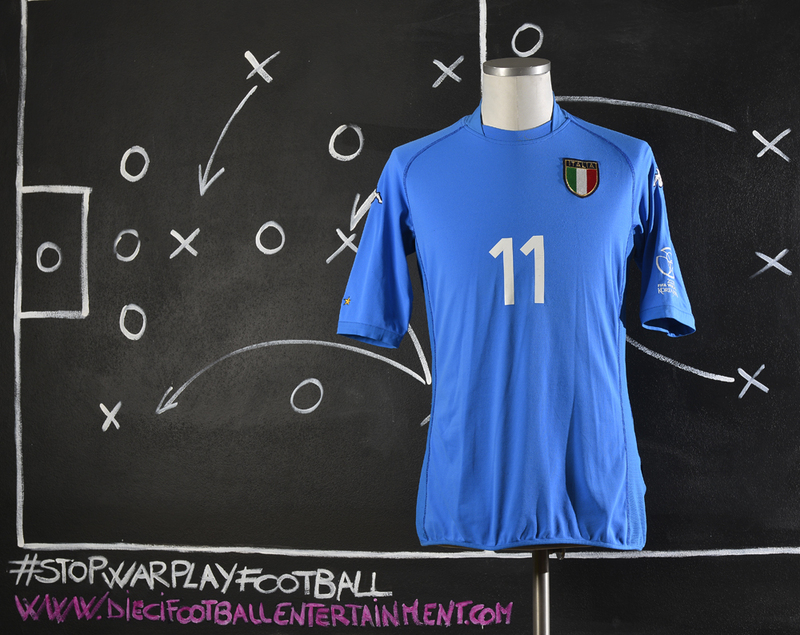 Despite not featuring during the qualification campaign, Cassano was selected in Italy’s squad for the 2014 World Cup. On 20 June 2014, at the age of 31, Cassano made his World Cup debut as a substitute in a 1–0 loss to Costa Rica. 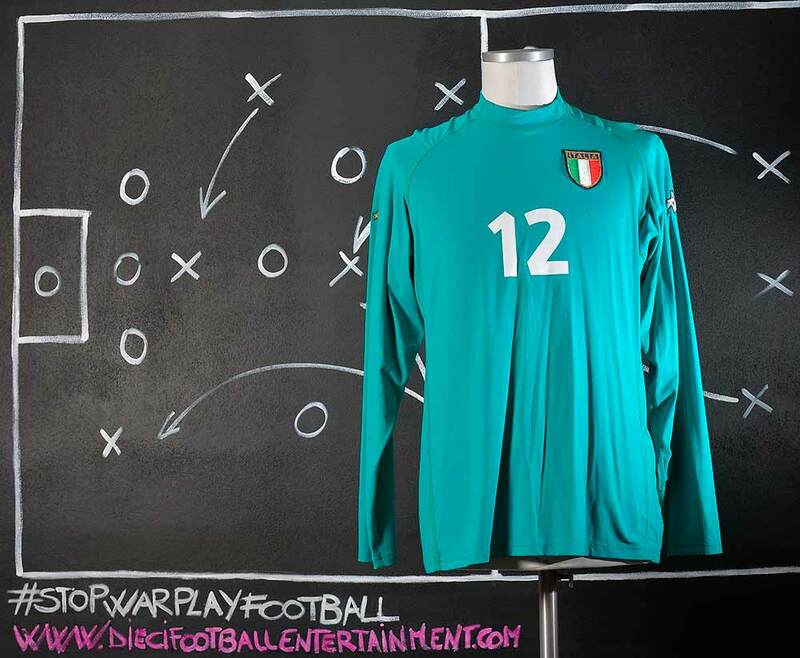 He also appeared as a substitute in Italy’s 1–0 defeat to Uruguay, in their final group match on 24 June, which resulted in Italy’s elimination in the first round of the tournament for the second consecutive time. 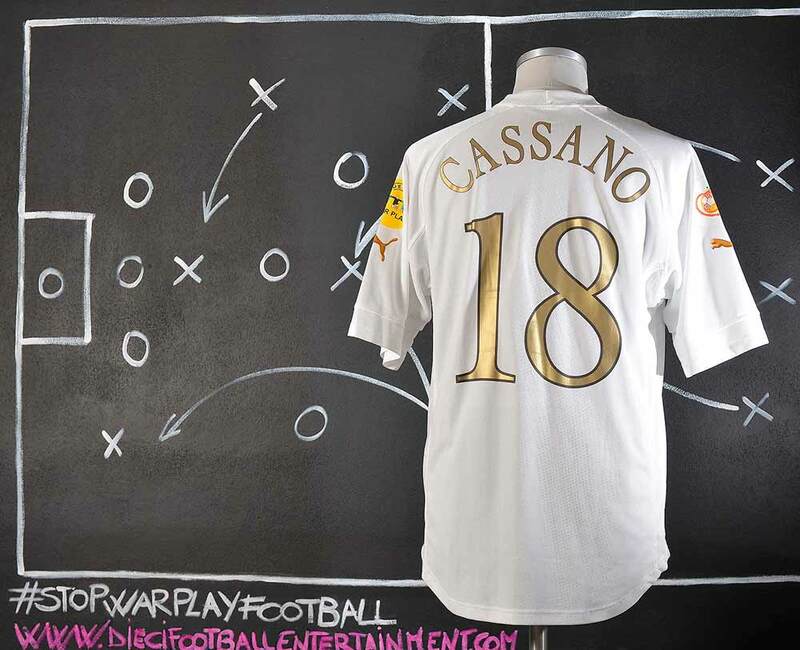 Cassano was criticised by the press for his poor performances and lack of fitness, as he failed to improve his team’s results and did not provide pace and creativity to the team’s attacking plays. 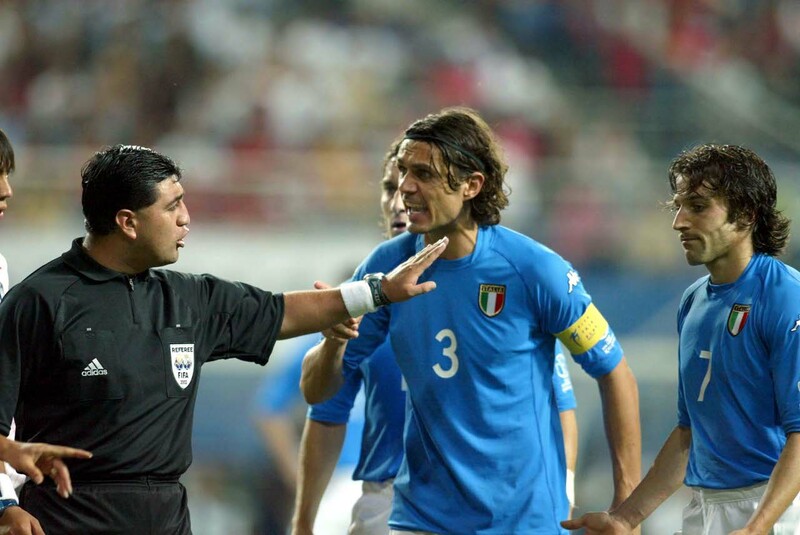 Many fans hoped to see him play for Italy at UEFA Euro 2004, or with the 2004 Olympic squad that eventually managed a Bronze Medal, but this was not to be the case. 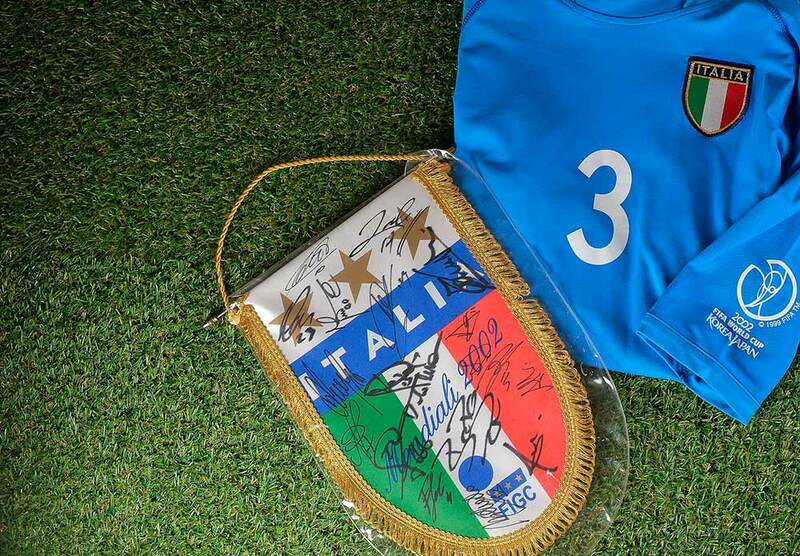 He was, however, given an international sendoff by Trapattoni at the age of 37, in a friendly match against Spain, on 28 April 2004, in which he wore the number 10 jersey for the final time, and the captain’s armband for part of the match. 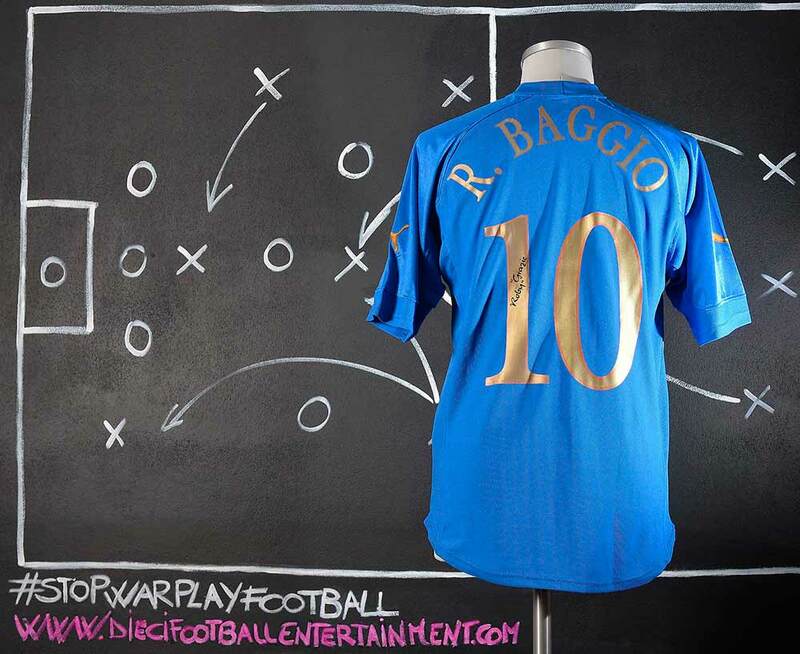 Although Baggio entertained the crowd with his creativity and skill, he was unable to score, despite winning a free-kick from which Vieri’s equalising goal arose. 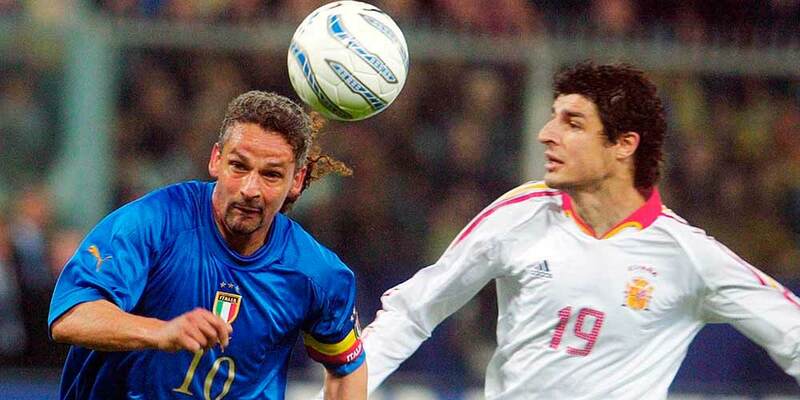 The match finished 1–1 and Baggio was given a standing ovation upon being substituted by Fabrizio Miccoli. 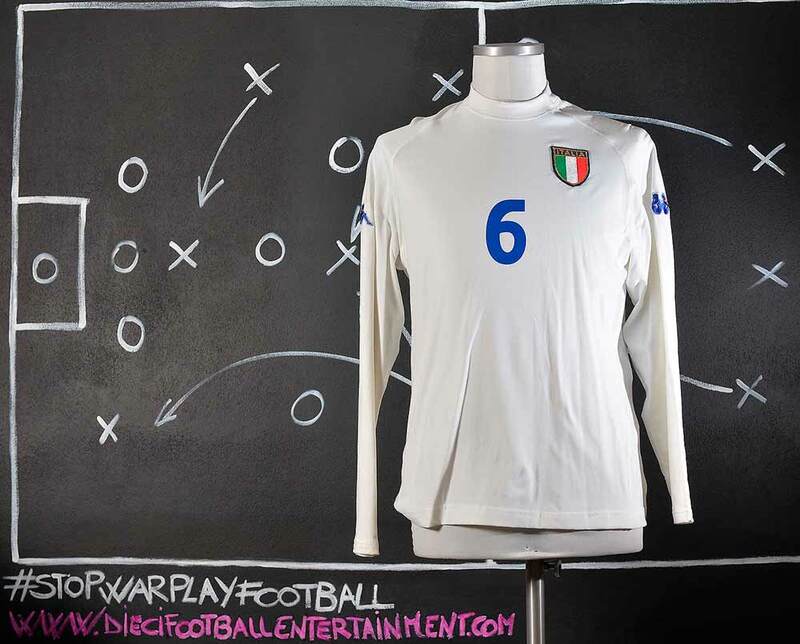 This was his 56th and final match for Italy, and it was the first time an Italian footballer’s career had been celebrated this way since Piola retired. 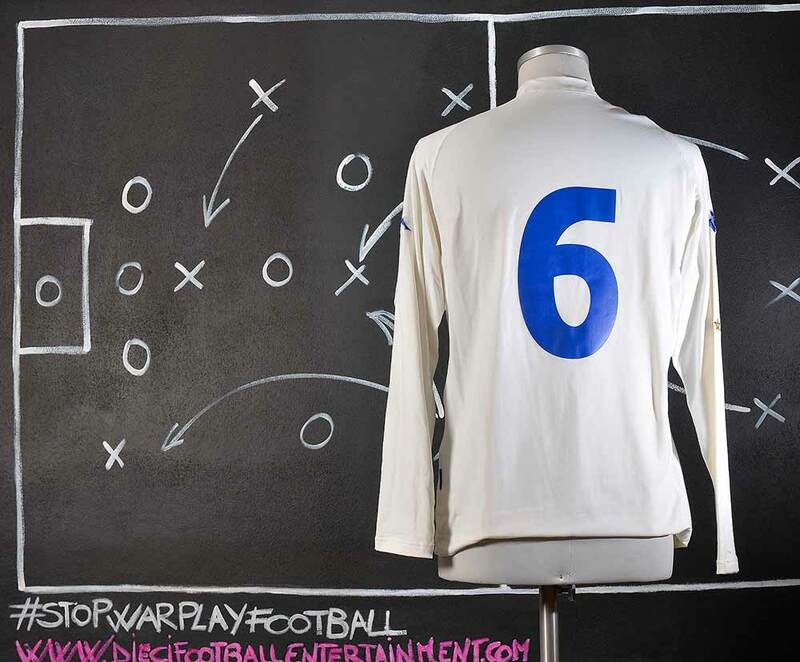 This shirt was prepared to be used but Uefa at the end didn’t allow the team to play with this jersey with extra writing on it. 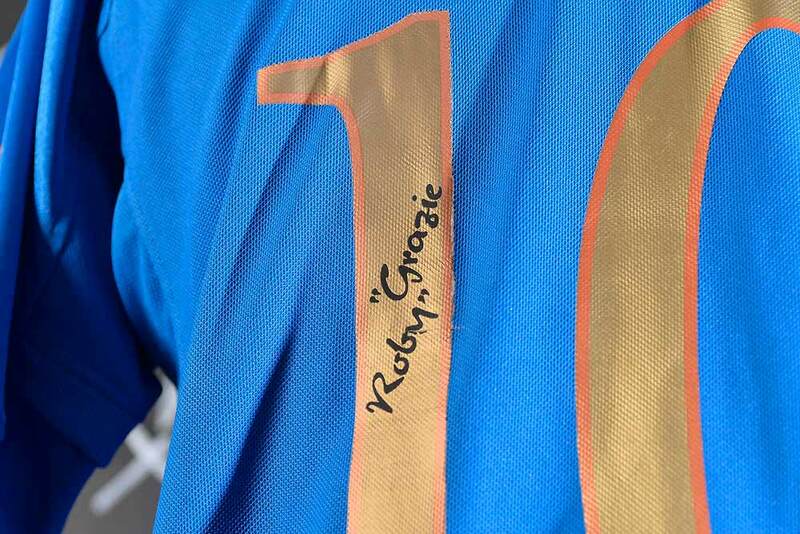 A special embroidery on chest and “Grazie Roby” printed on number were not approved for an official Uefa friendly game so the team had to play with regular shirts. 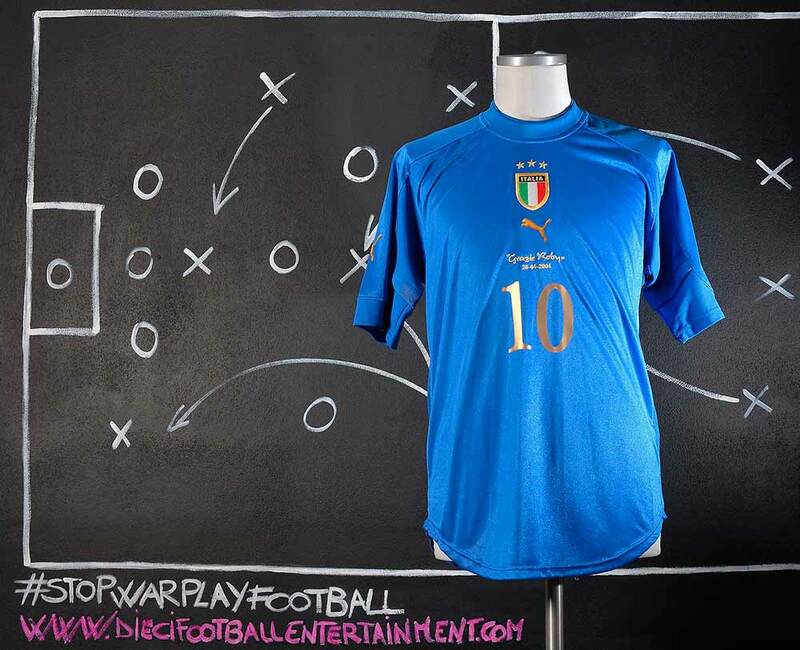 This shirt is still one of the rarest Italy National Team’s shirts ever. 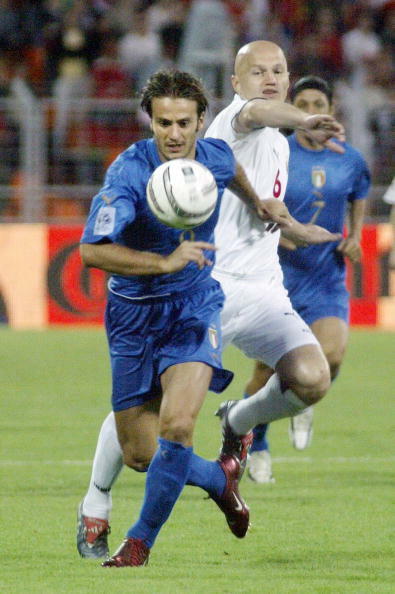 Gilardino played with Italy in the 2004 Olympics in Athens, winning the bronze medal; he scored a decisive goal in the match for third place. 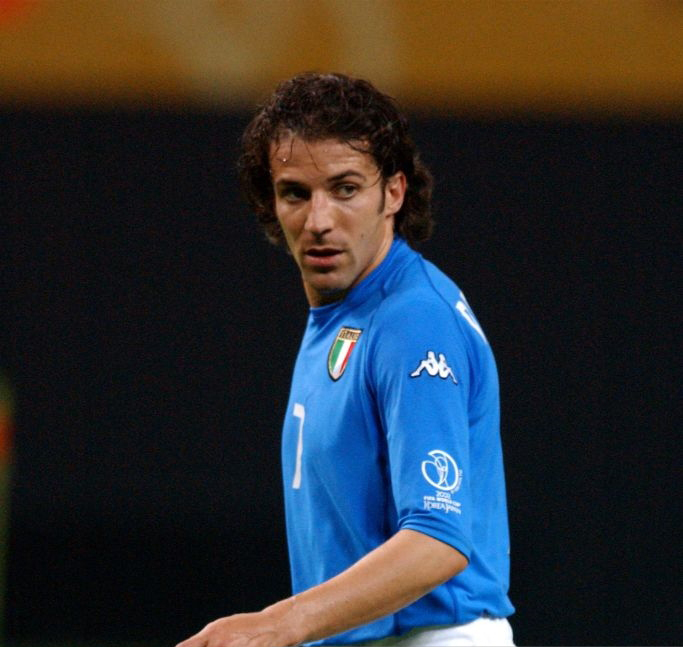 He also led Italy’s Under-21 team to victory in the 2004 European Under-21 Football Championship. 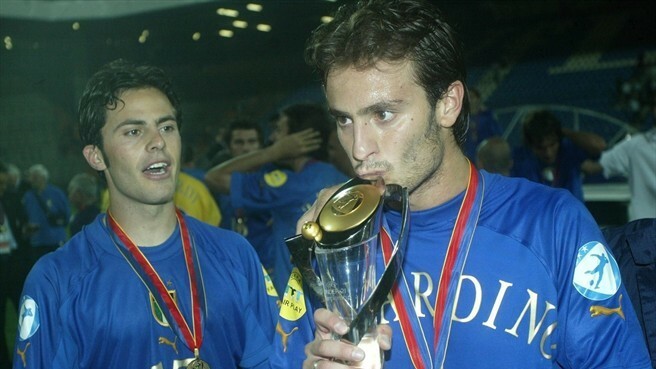 With the Italy national Under-21 team led by coach Claudio Gentile, Gilardino won the 2004 UEFA European Under-21 Championship, and was also named the best player and top scorer of the event with 4 goals. 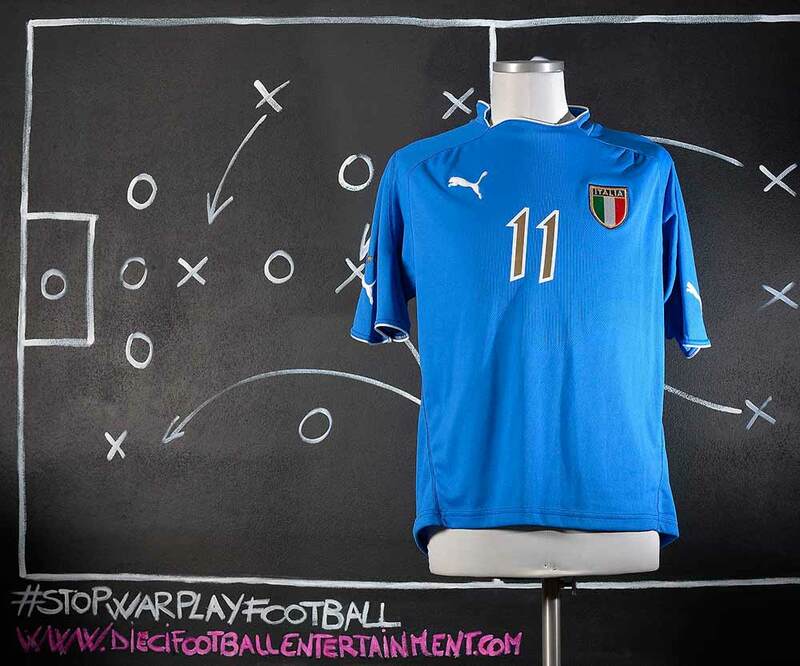 He is currently the all-time top scorer for the Italy National Under-21 team with 19 goals in 30 matches. Del Nero was one of the most talented young players when he started his professional career in early 2000’s. He was a part of the Italy U-21 side which emerged victorious in the 2004 UEFA European Under-21 Football Championship and also won a bronze medal with the Italian Olympic team at the 2004 Summer Olympics. He has never been called up to the senior Italian national team. 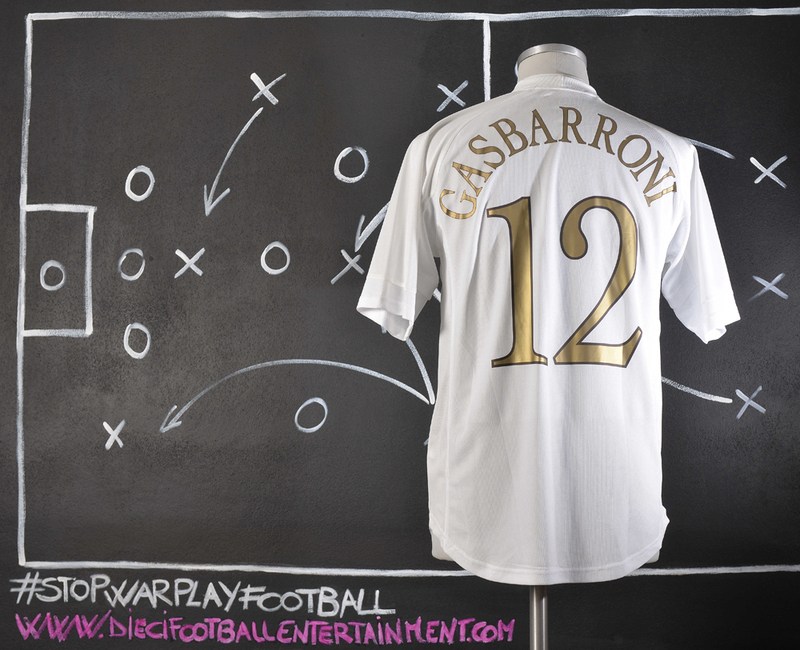 Andrea Gasbarroni is an attacking midfielder who can also play occasionally as a winger or second striker. 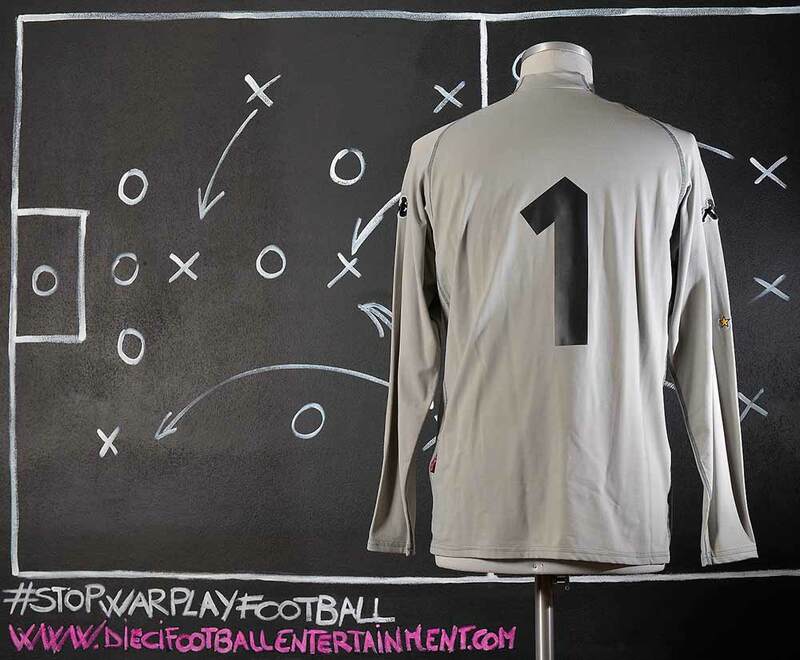 Gasbarroni started his career at Juventus F.C. youth team. 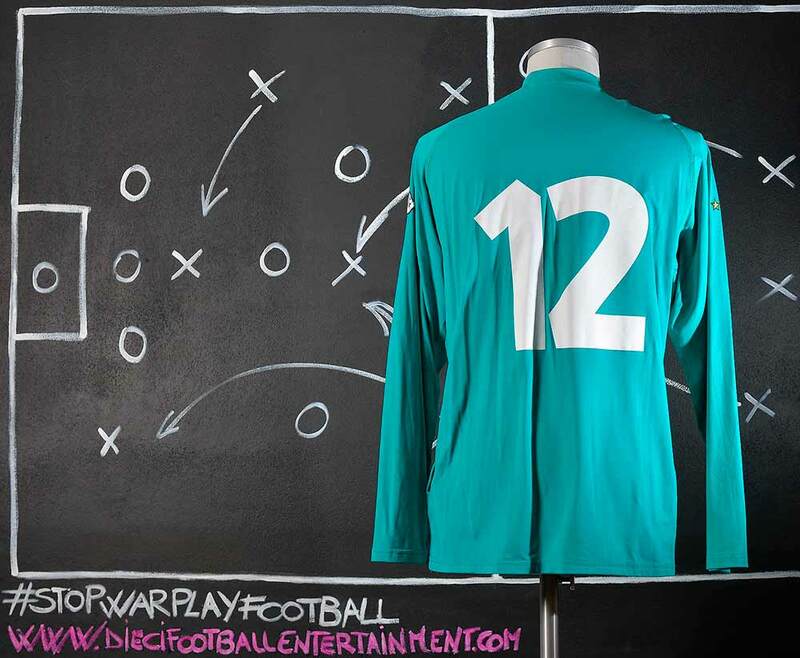 Gasbarroni was in the Italian Olympic squad that won the bronze medal at the 2004 Summer Olympics football tournament. 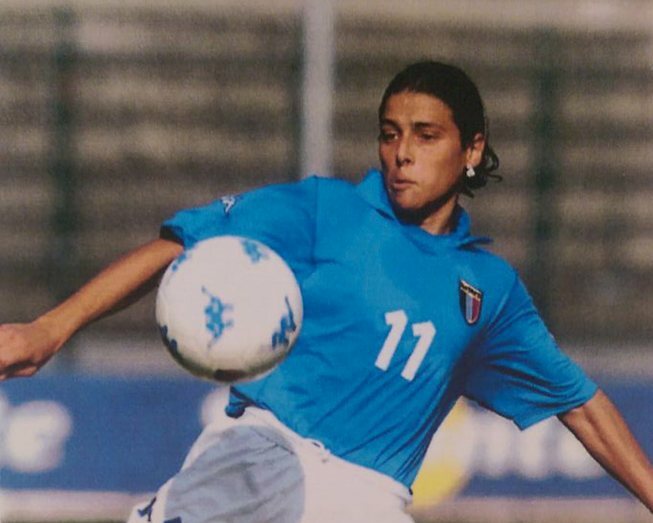 Zaccardo represented the Italy under-16 squad (equivalent to the current under-17 team) at the age of 15, also taking part in the 1998 UEFA European Under-16 Championship held in Scotland. During the tournament, he scored the decisive goal in the semi-final which allowed Italy to progress to the final of the tournament, where they were defeated by the Republic of Ireland. 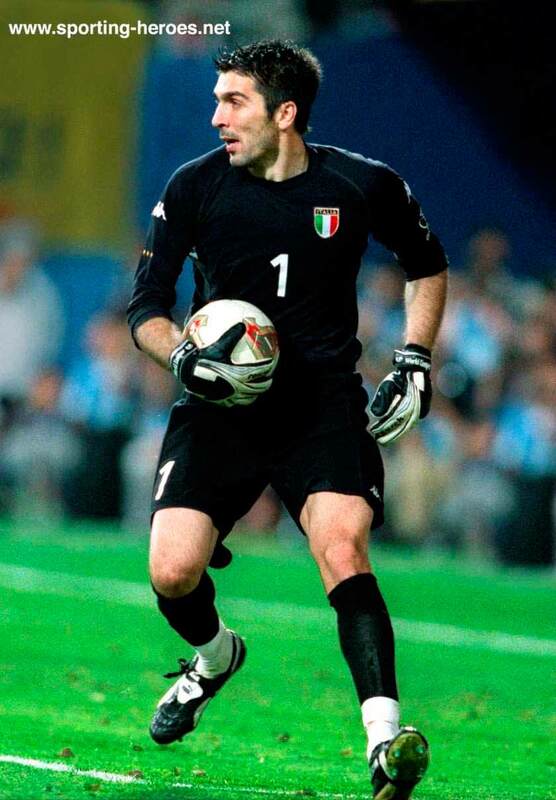 In 2001, he was a member of the Italian under-23 team that won a silver medal at the Mediterranean Games held in Tunis. Zaccardo has also represented Italy at under-21 level, winning the 2004 UEFA European Under-21 Championship under manager Claudio Gentile. 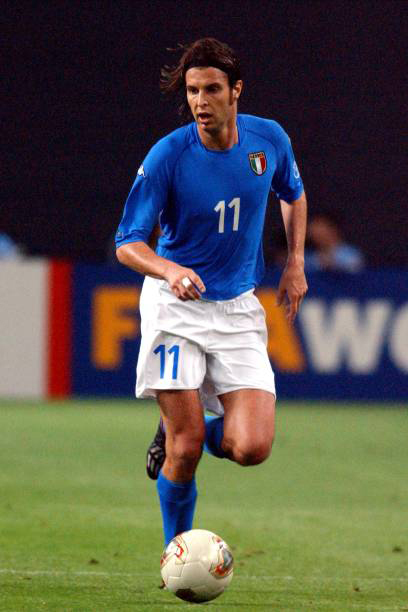 Zaccardo made his senior international debut for Italy under Marcello Lippi on 17 November 2004 in Italy’s 1–0 home friendly victory over Finland. He began to be deployed with more frequency, and on 8 October 2005, he scored his first international goal in a 1–0 home win over Slovenia in Palermo in a 2006 FIFA World Cup qualifying match; the victory allowed Italy to qualify for the upcoming 2006 FIFA World Cup in Germany. 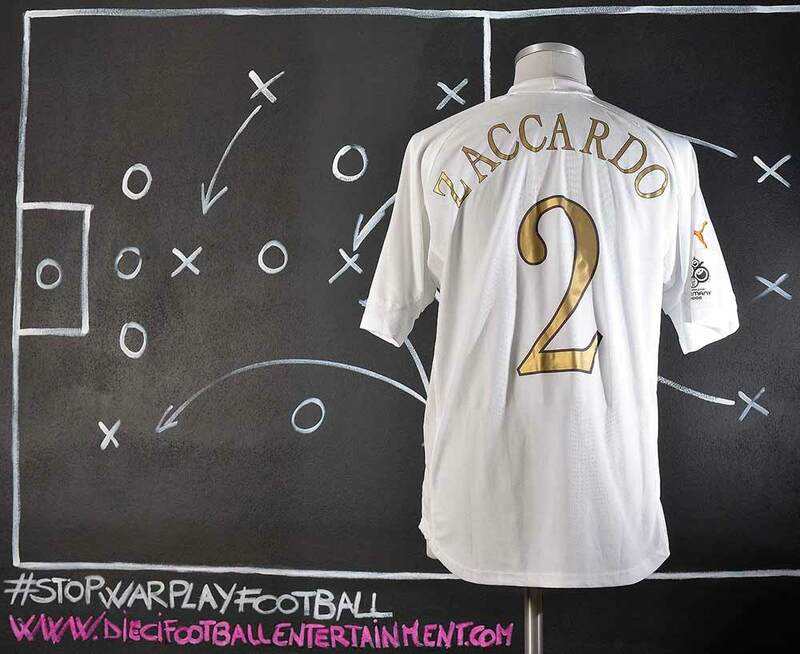 Zaccardo was included in Italy’s 23-man roster for the tournament, and made three appearances in the final competition. He started the first two matches of the group stage, helping Italy keep a clean sheet in their opening 2–0 win over Ghana on 12 June, but he scored an unfortunate own goal off an attempted clearance following a free-kick in the azzurri’s second match on 17 June, which ended in a 1–1 draw against the United States; this was one of only two goals Italy conceded throughout the tournament. 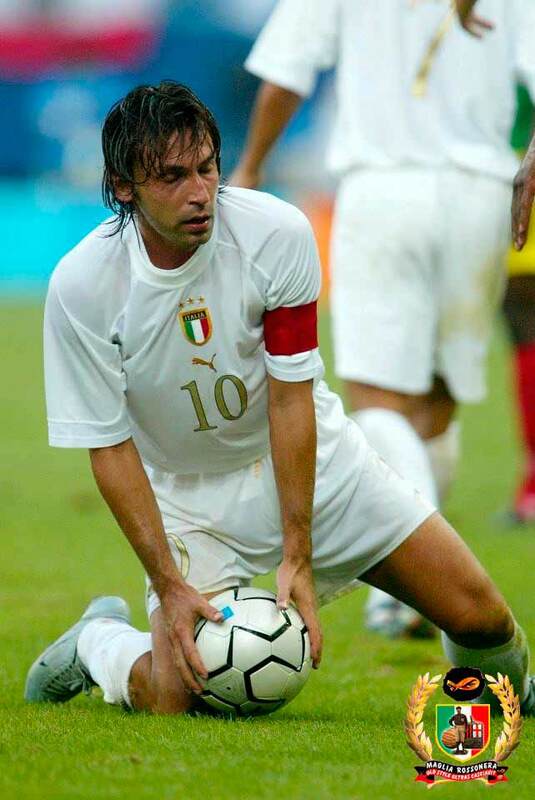 He made one more appearance, his third during the tournament, coming on as a substitute in Italy’s 3–0 win over Ukraine in the quarter-finals on 30 June, as Italy went on to win the 2006 World Cup. Due to his mistake during the World Cup, he was often overlooked by the national team since the tournament’s conclusion, and only made two more appearances under Roberto Donadoni. 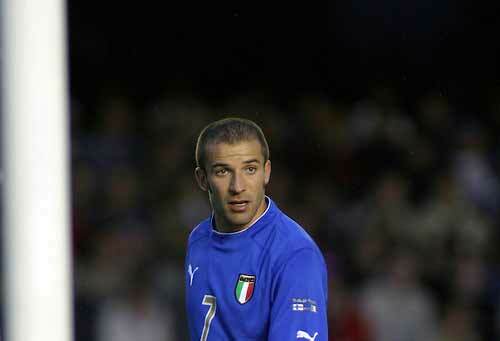 He made his final appearance for Italy in a 2–0 friendly win over South Africa on 17 October 2007. 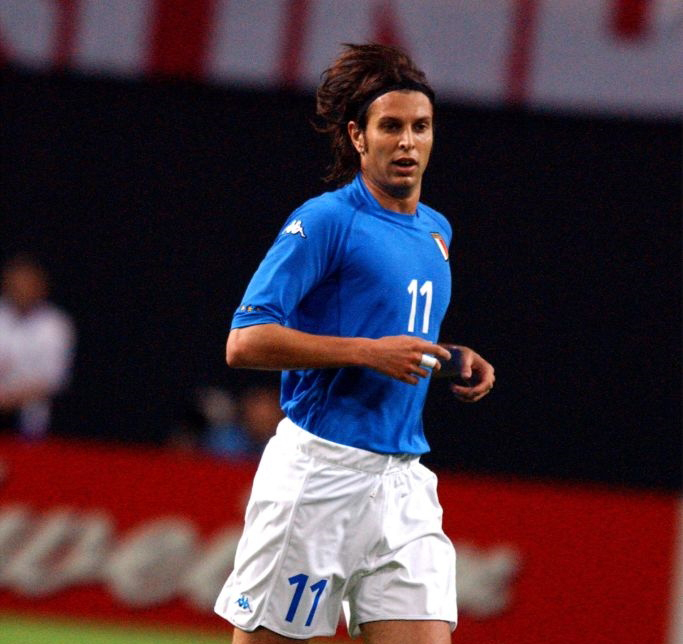 In total, Zaccardo made 17 appearances for Italy between 2004 and 2007, scoring 1 goal. 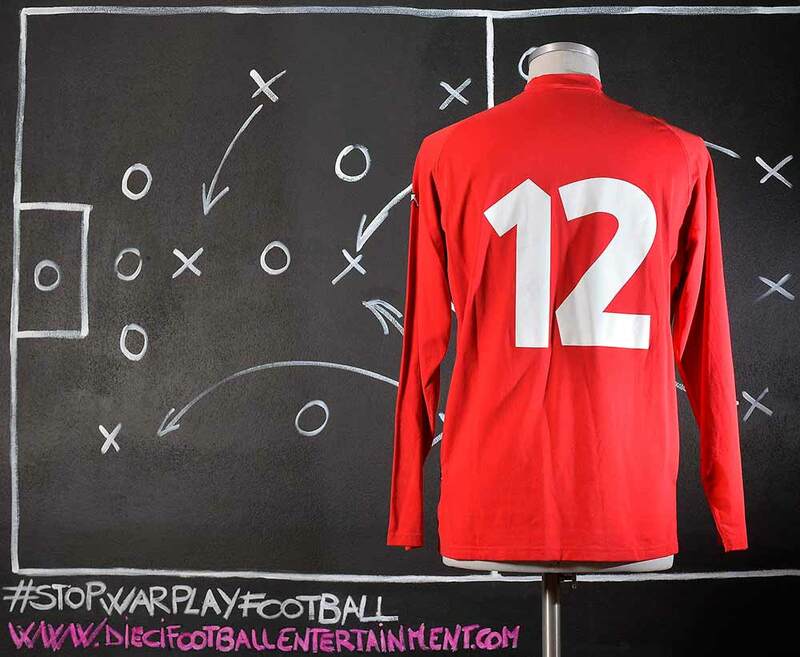 This model of shirt was used only during the friendly game against Iceland which took place on August 18th 2004. 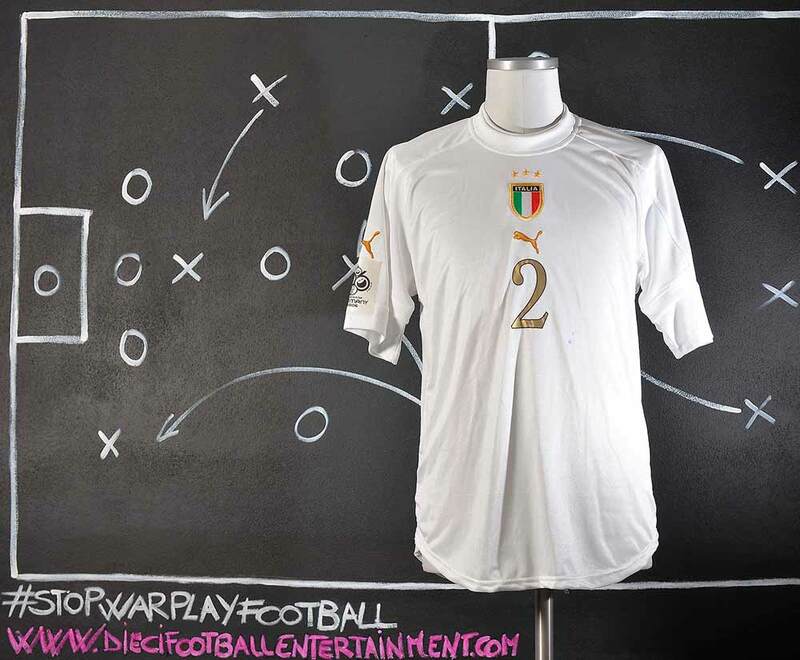 The game represents also the first game with coach Marcello Lippi who started his Italy Team’s career with a loss.